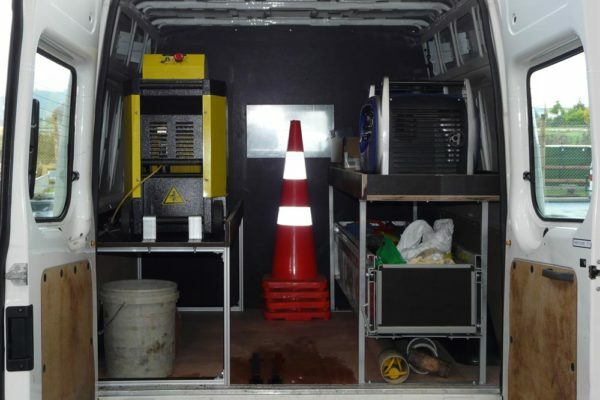 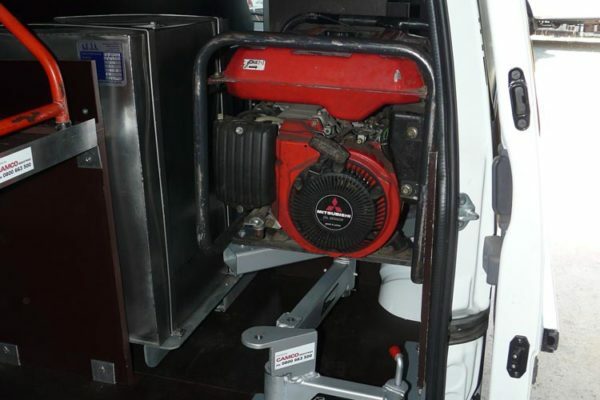 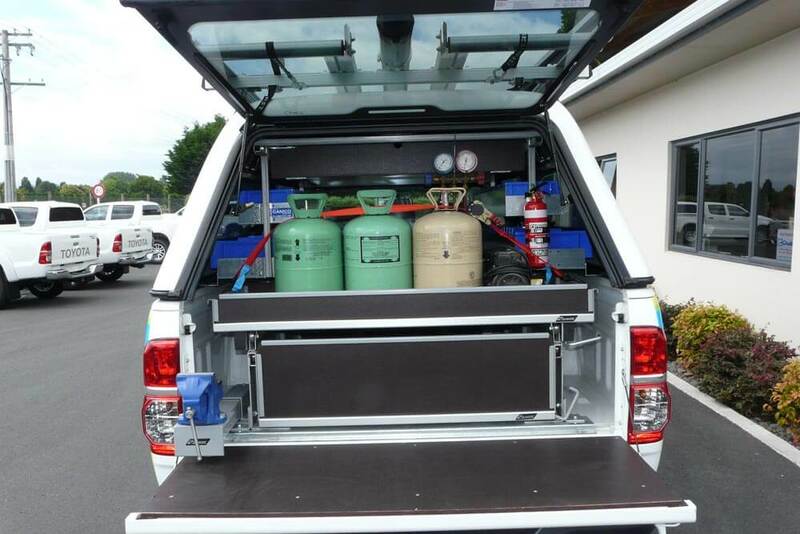 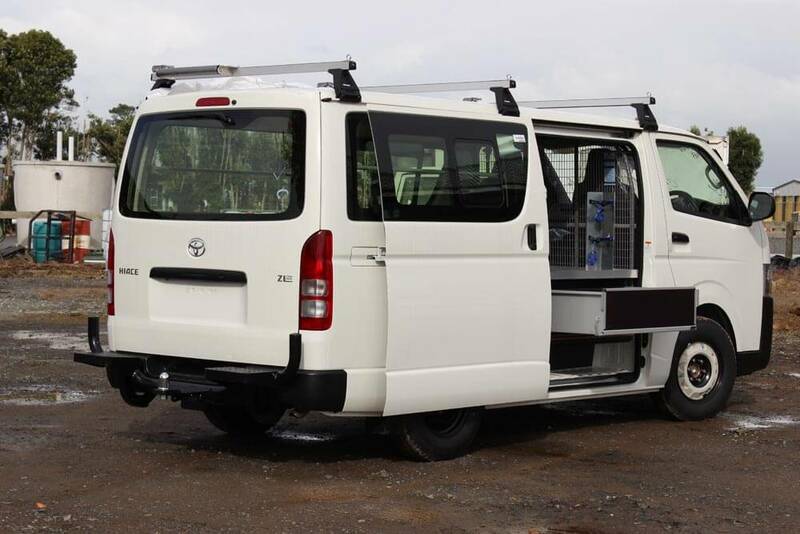 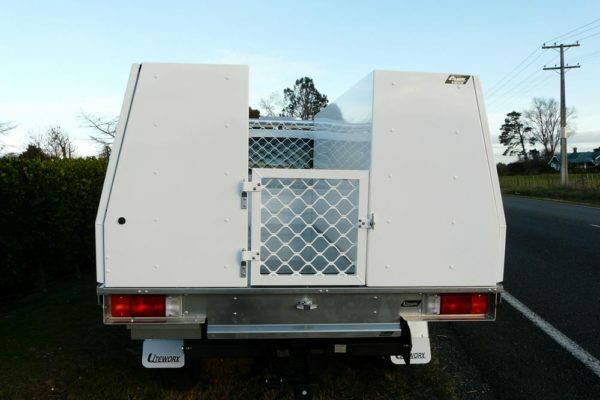 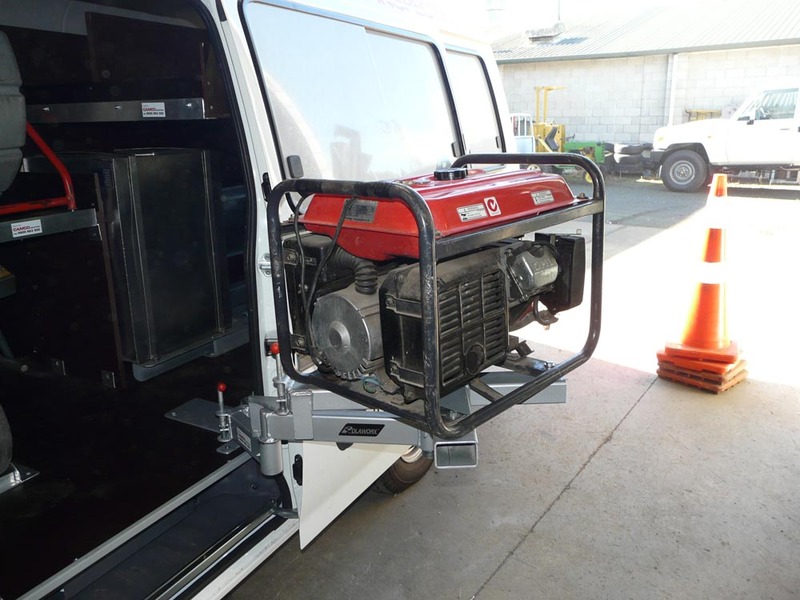 Refrigeration technicians have a wide range of needs for use of their cargo space in their vehicles, from storage of small parts and fittings to space for transport of air conditioning units and the like. The safe and secure containment of refrigerant gas bottles is also and important requirement. 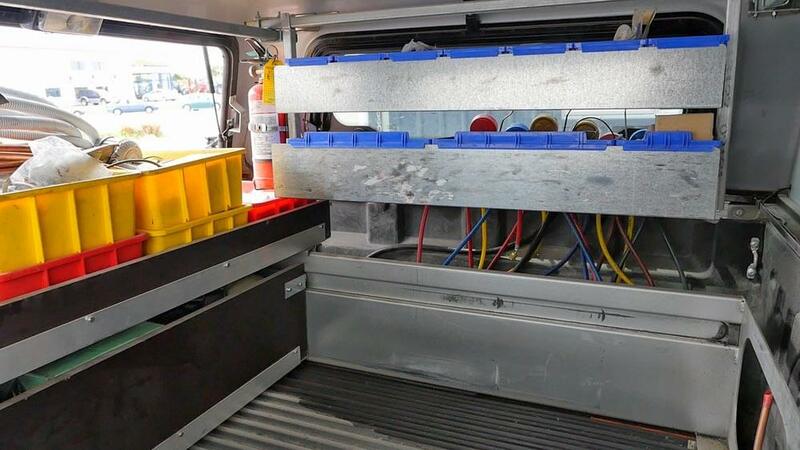 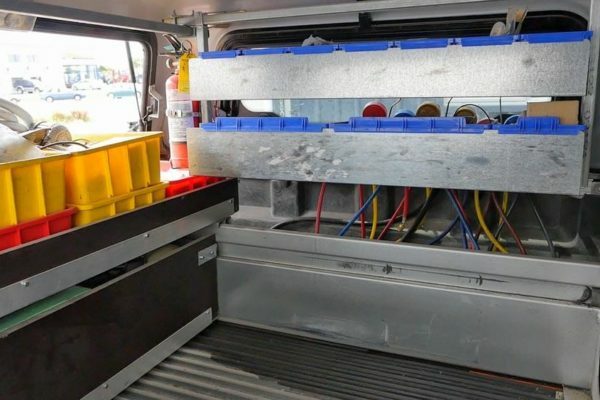 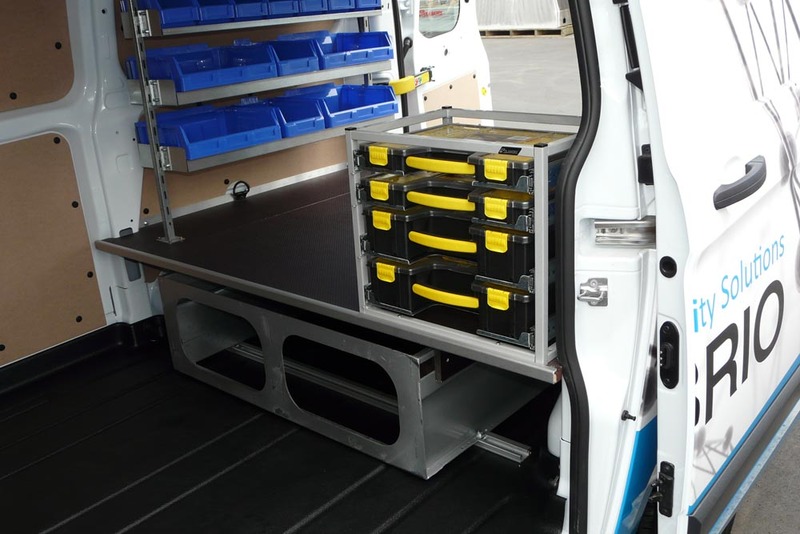 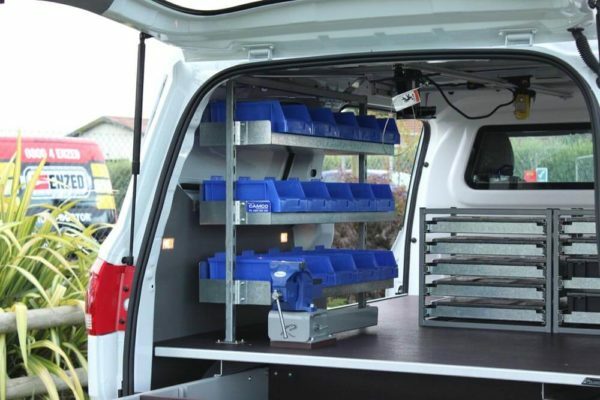 Camco can offer a wide range of solutions to make the refrigeration technicians vehicle an effective and efficient workspace. 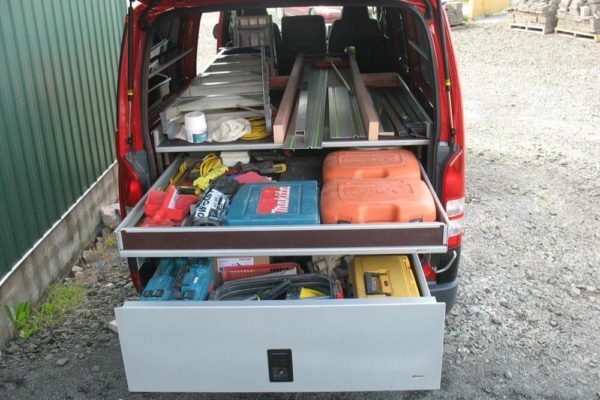 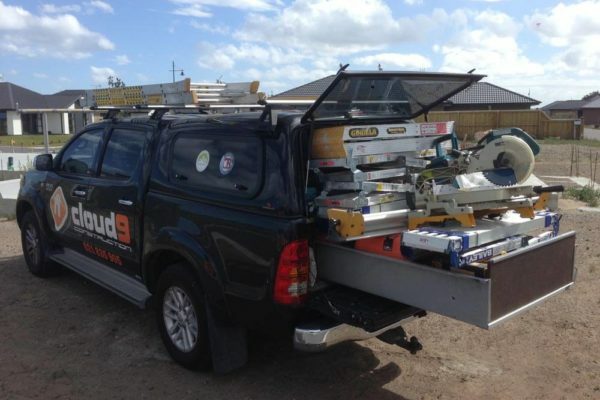 Every builder or construction worker knows his vehicle is his mobile workshop. 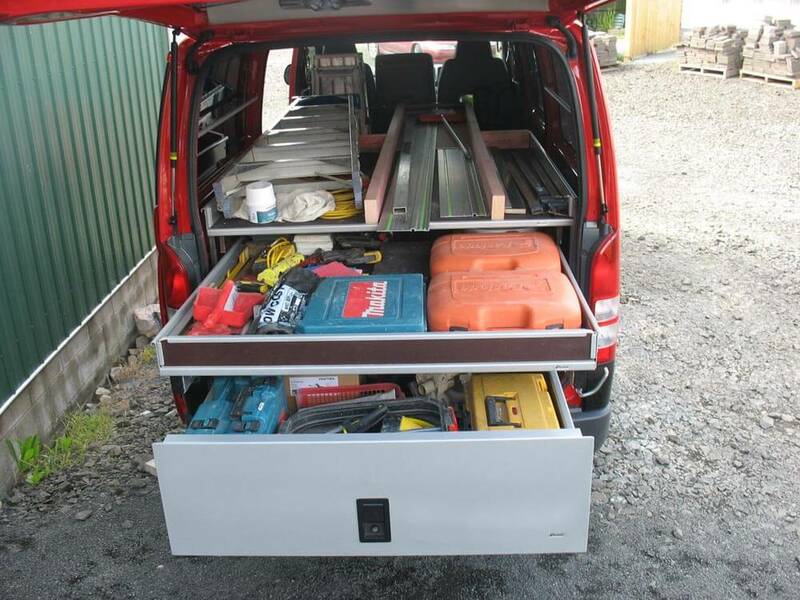 He needs to carry a variety of power and hand tools in addition to transporting material to the job site. The value of the tools alone can add up to $30,000 – a Rolaworx® drawer offers protection and security to create a peace of mind assurance. 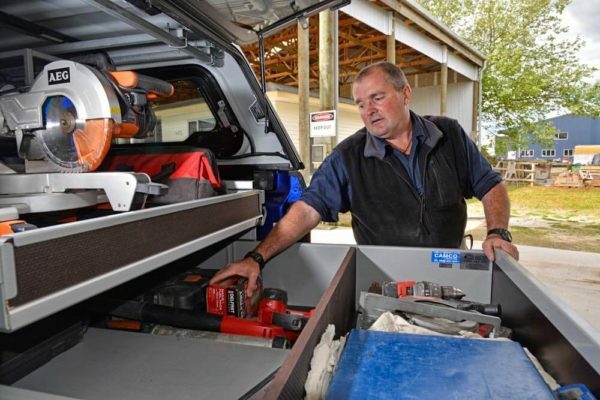 Camco can provide a range of options in products for operators and construction industry to ensure you have the best of both worlds with secure organisation for tools while leaving space for bulky materials you may need to carry. 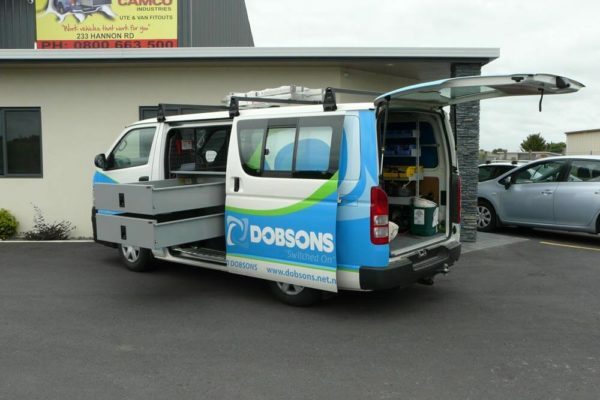 Drainage contractors need a secure location for their tools and servicing gear. 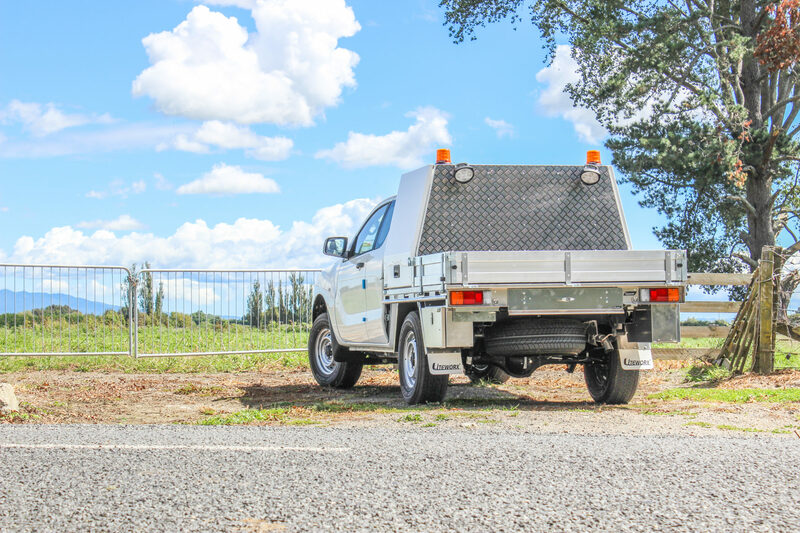 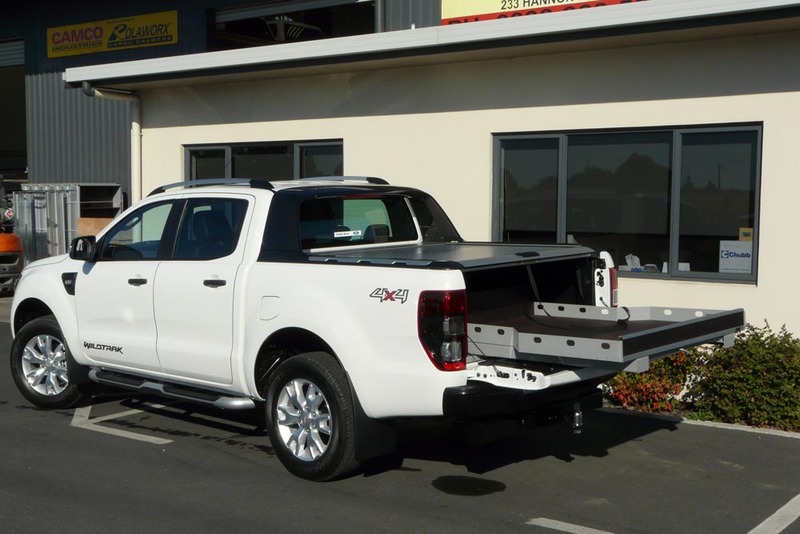 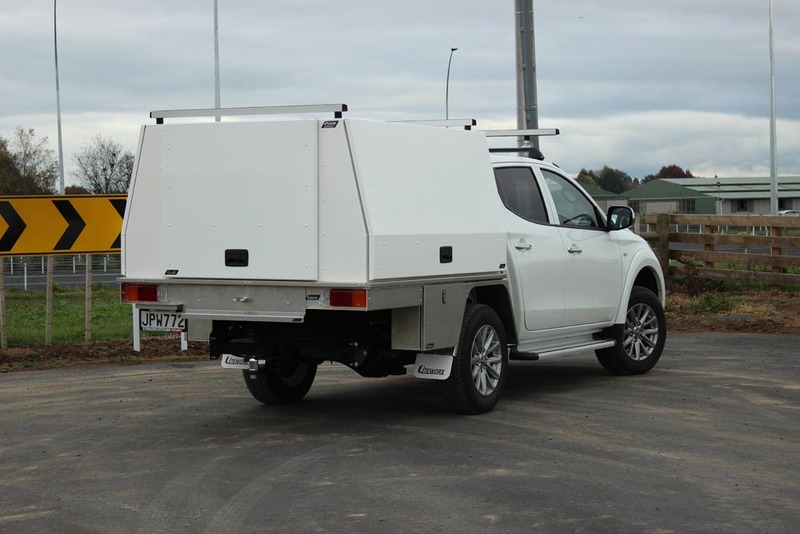 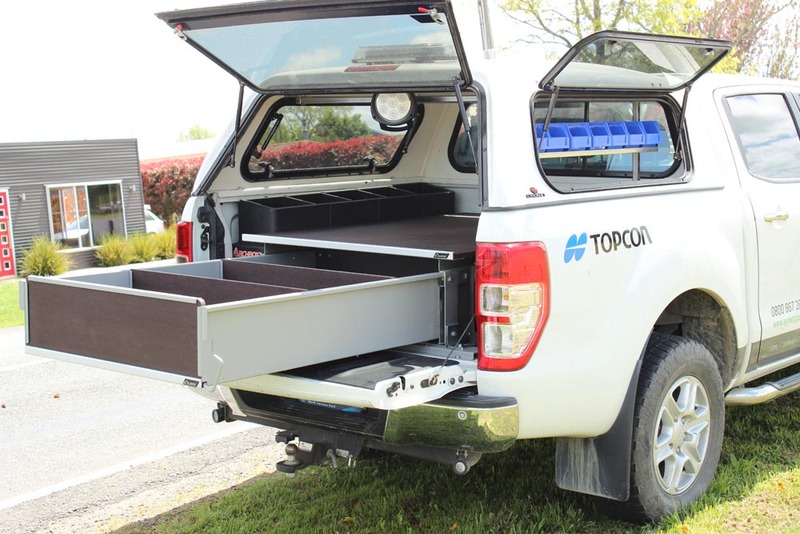 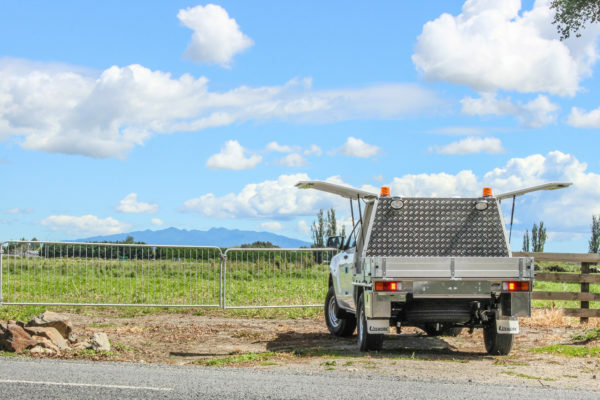 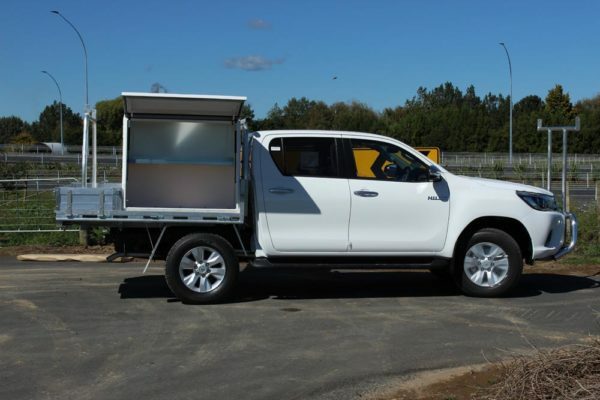 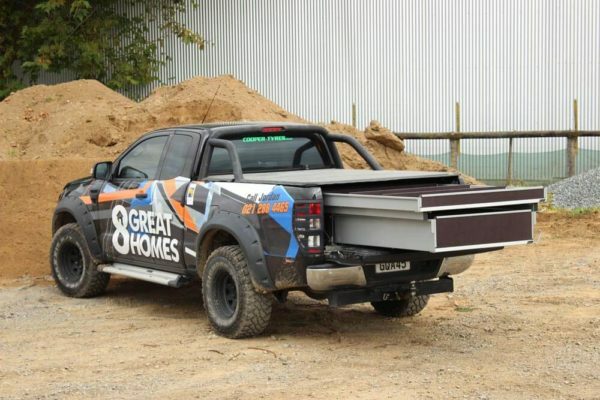 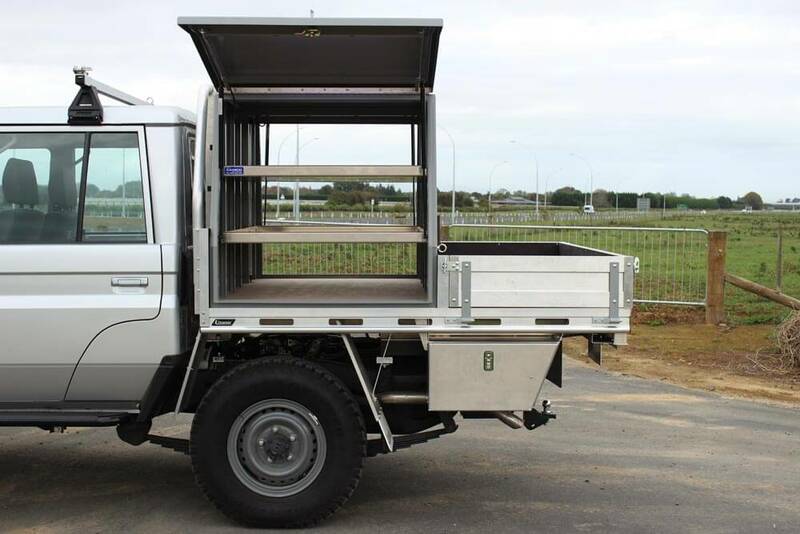 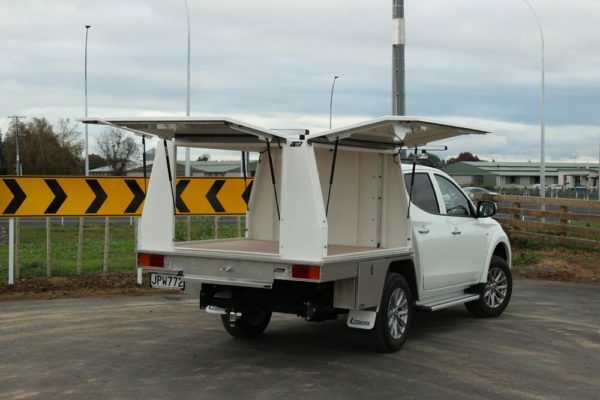 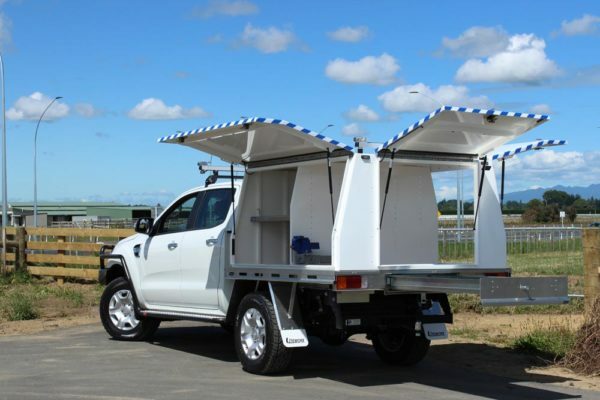 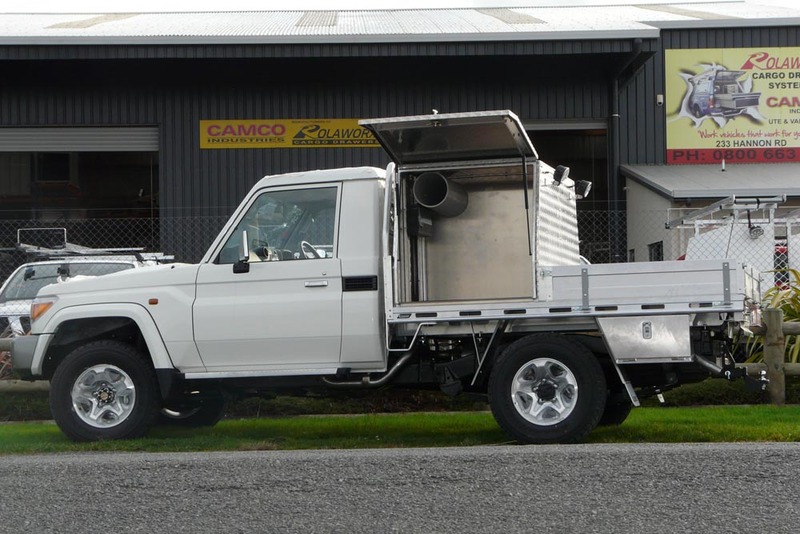 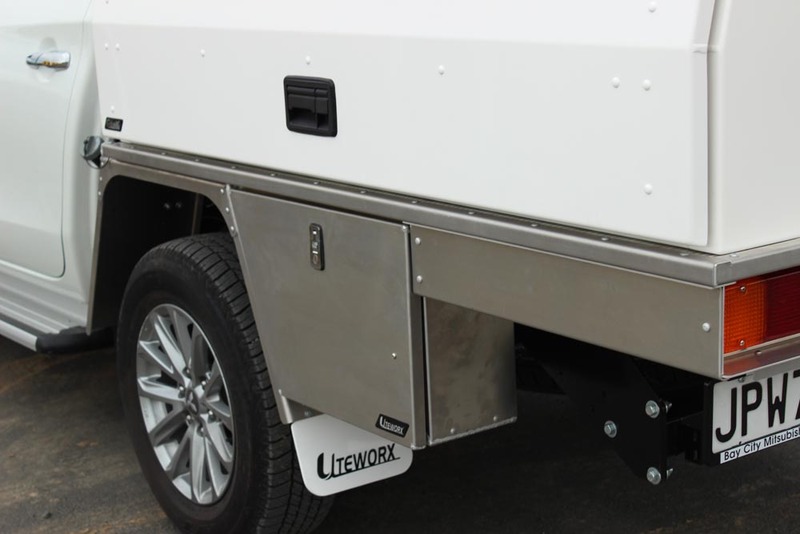 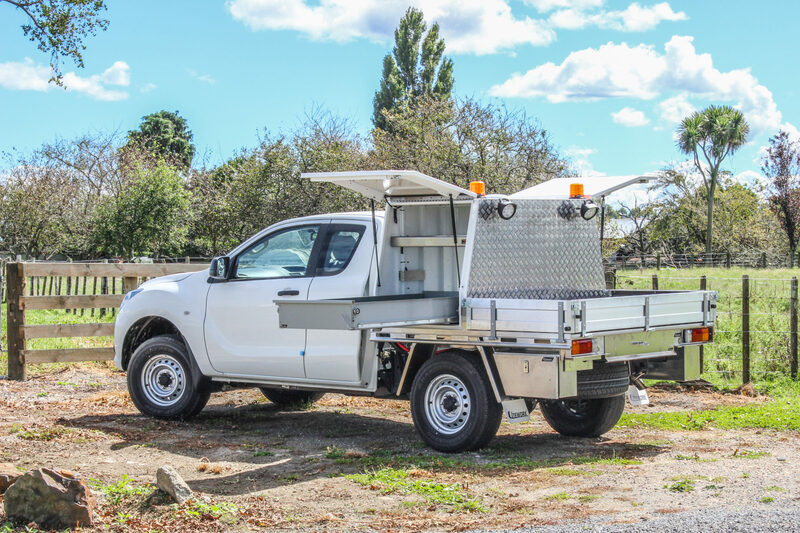 Camco can provide solutions for these needs and have found that customers from these industries can prefer either a wellside ute with canopy and Rolaworx® drawers, or alternatively a flat deck with Gullwing® toolboxes. Service for drainage in urban areas is an expanding industry with an increasingly technological approach being required. 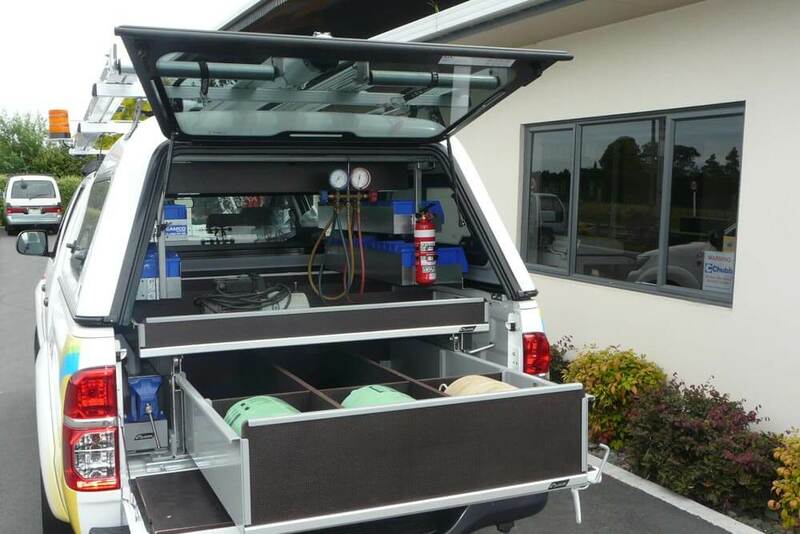 This creates a need for a specialised fitout for companies providing these services in order to maximise efficiency of their equipment. 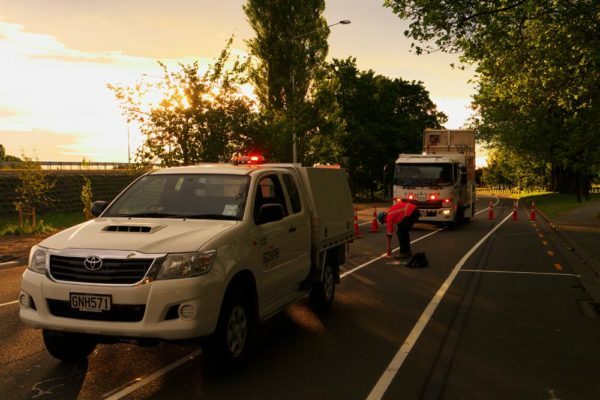 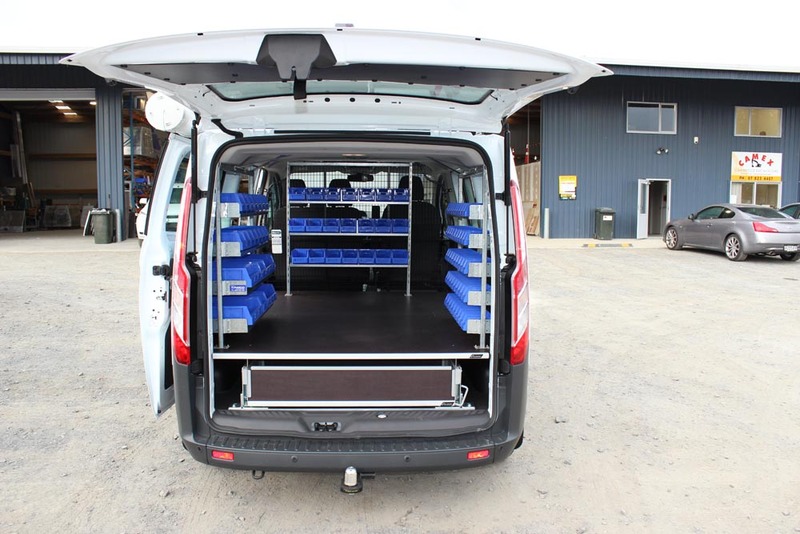 Camco has provided fitouts for this sectors, with efficient and often very specialised solutions to ensure needs are met for the CCTV equipment and the associated laptop monitoring required. 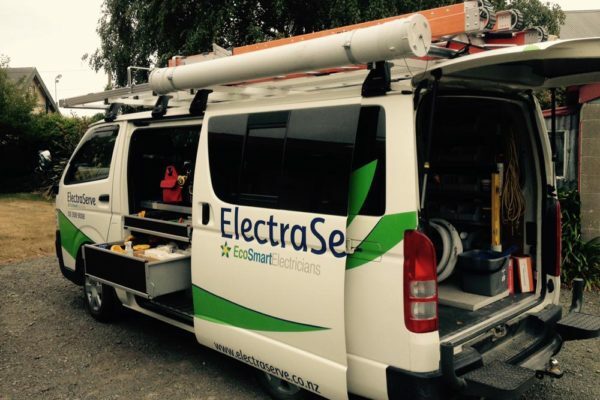 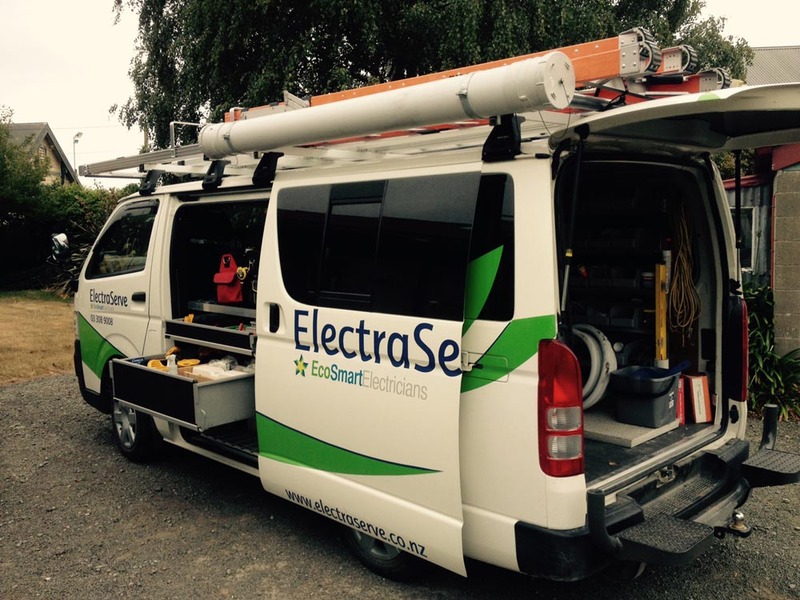 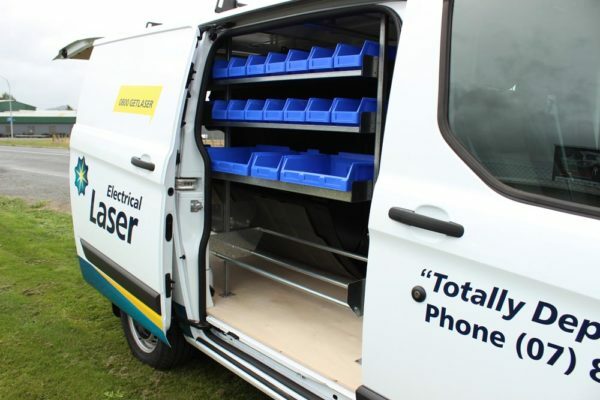 The numerous different types of task electricians undertake in their daily work create a need for a wide range of tools, equipment, fittings, cabling, conduits, etc. 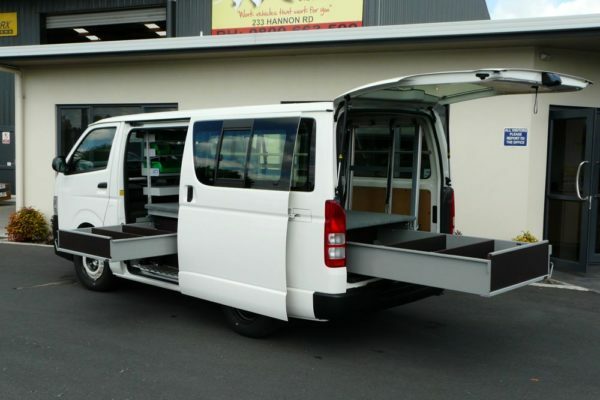 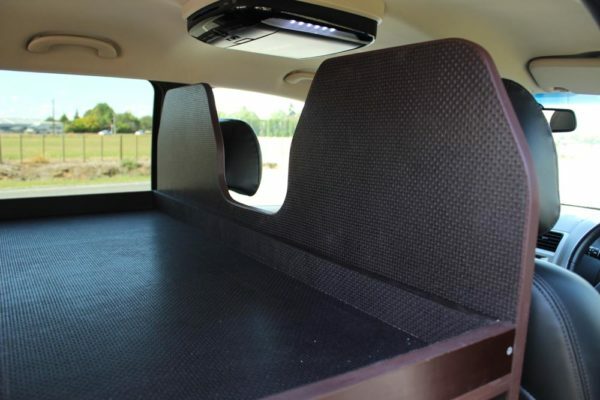 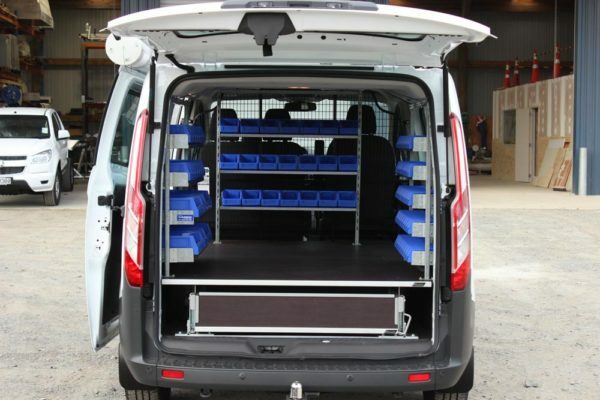 to be efficiently stored in their vehicle while being safely and easily accessed. Camco has a range of products that can be fitted to the electricians chosen vehicle. 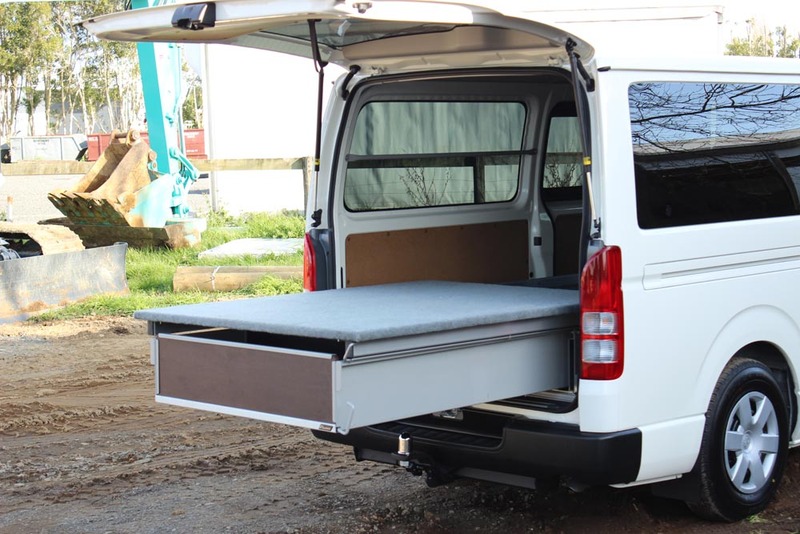 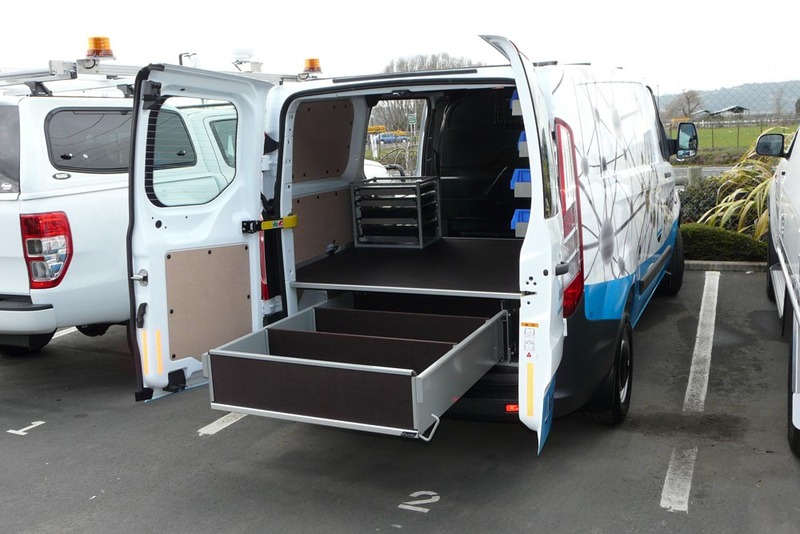 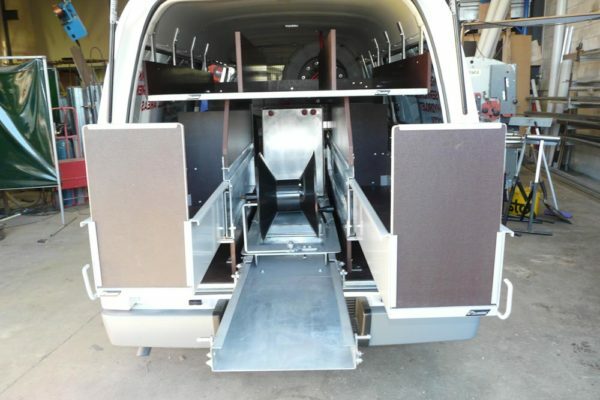 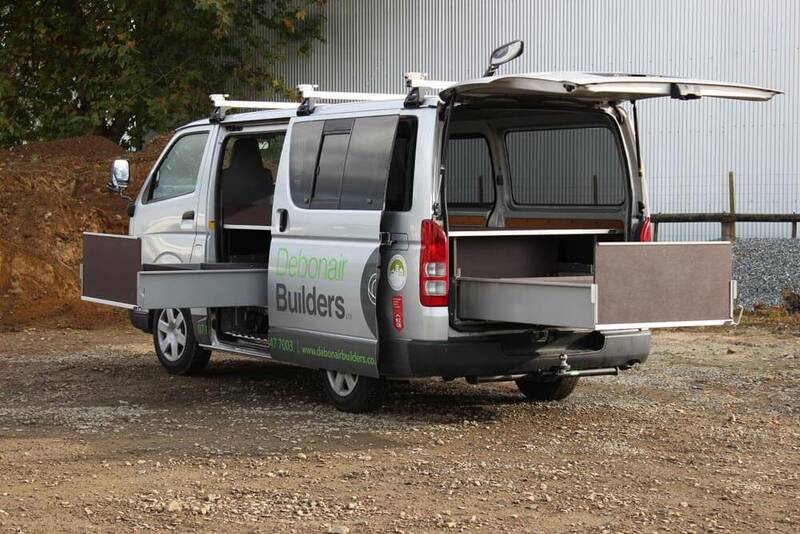 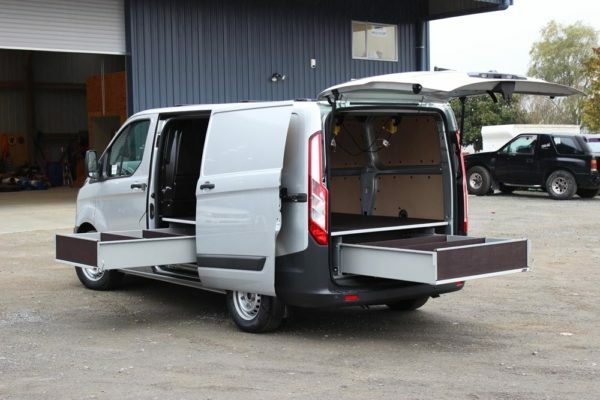 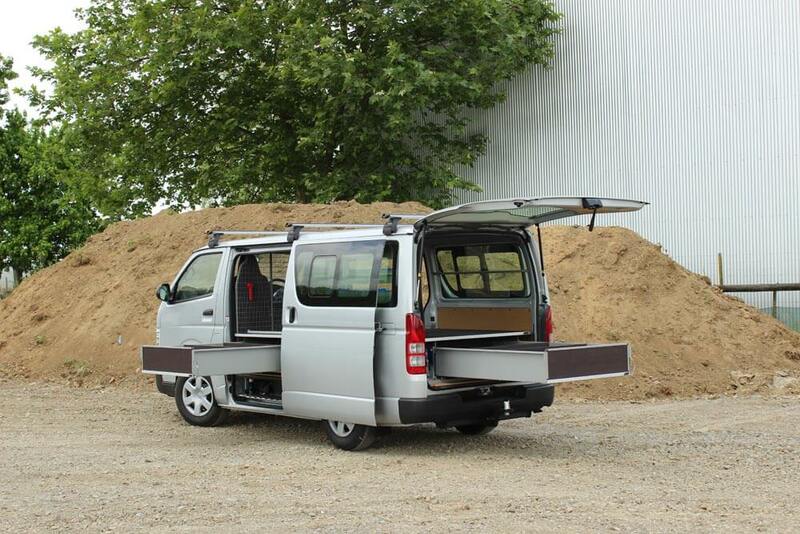 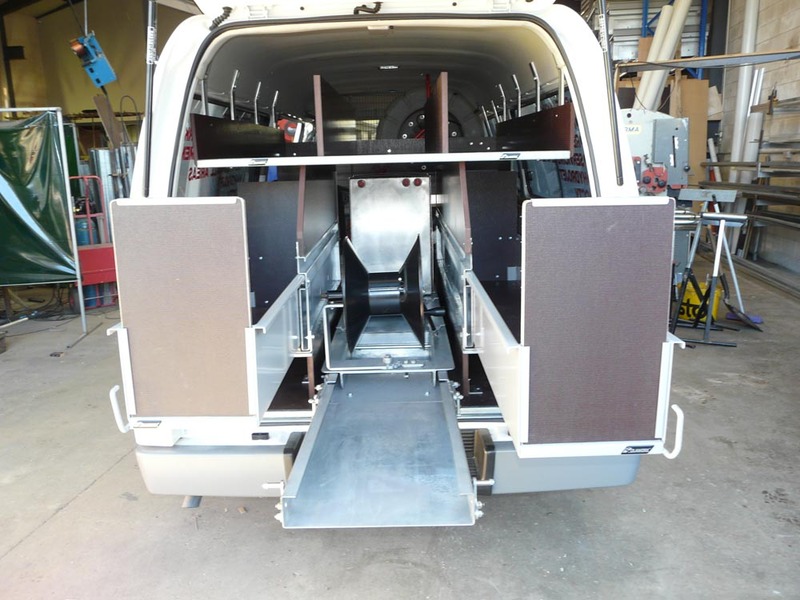 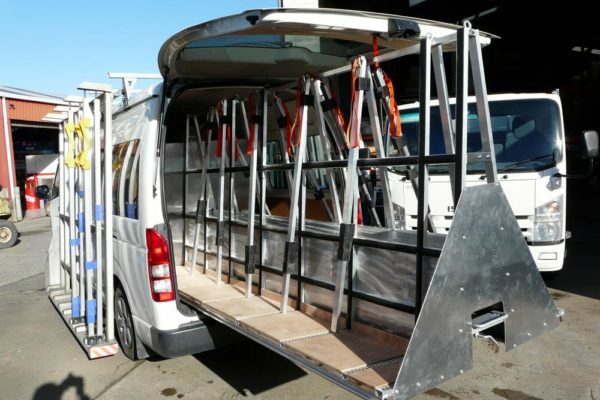 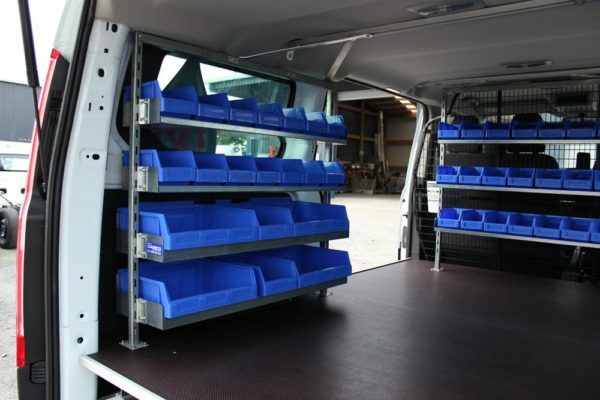 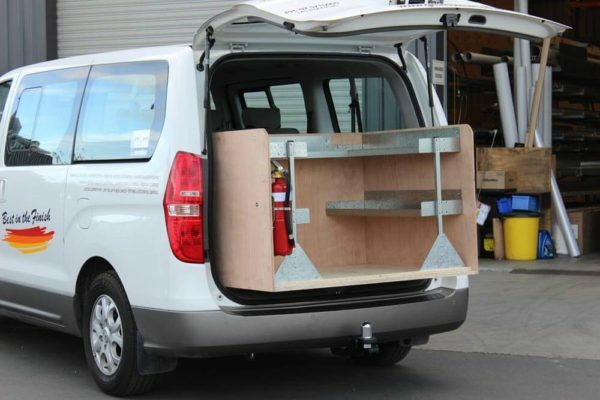 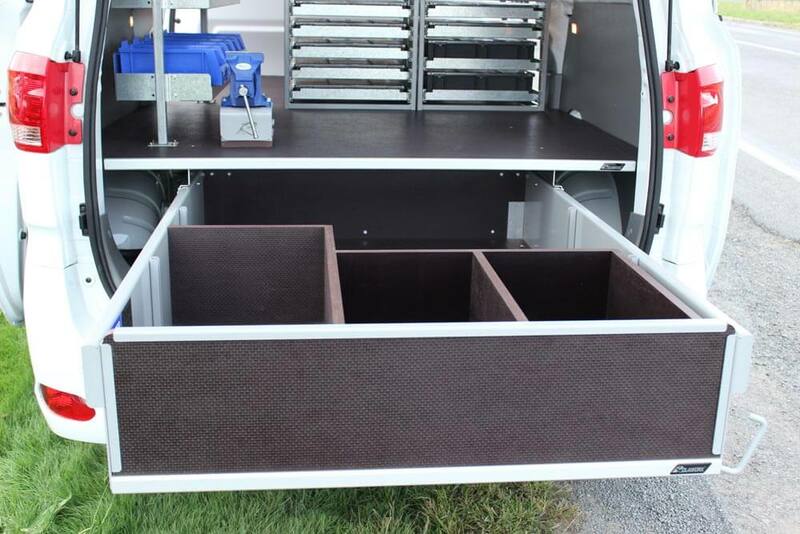 Camco has noticed a shift from the traditional van fitout towards Gullwing® style fitouts in recent times. 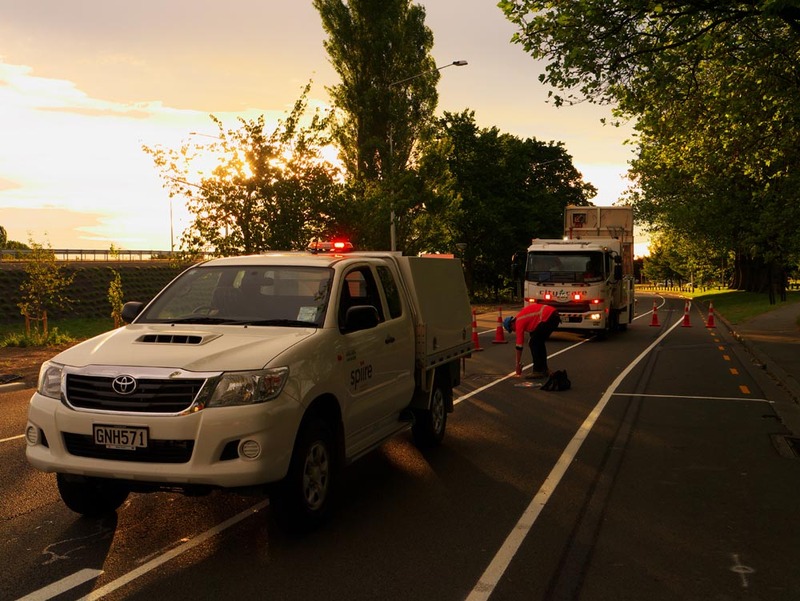 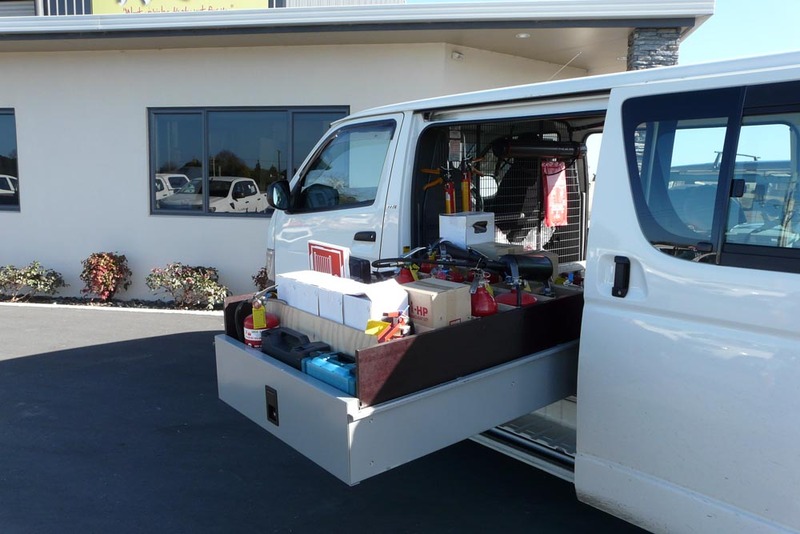 Technicians installing and maintaining fire protection and security systems need their vehicle to be organised efficiently in order to provide the professional service their customers demand. 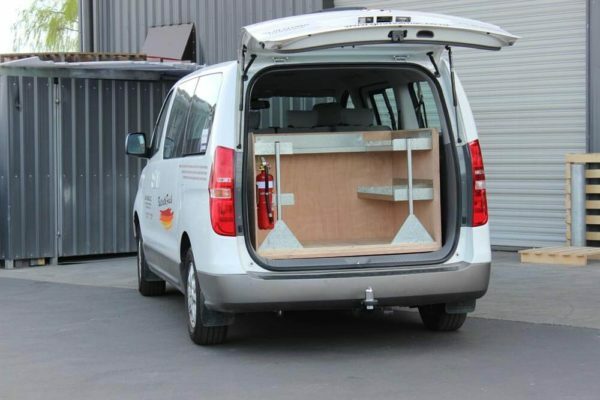 Camco has experience in providing solutions for vehicles engaged in all areas of the fire and security service sector and can recommend many of our products as well suited to this industry’s requirements. Glaziers seldom need to carry a lot of tools, but mostly use vans to carry their glass frail. 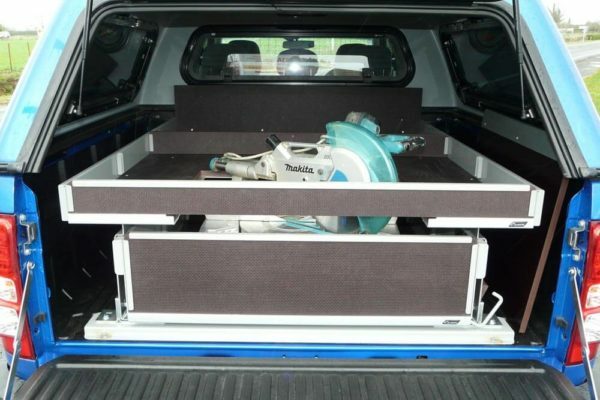 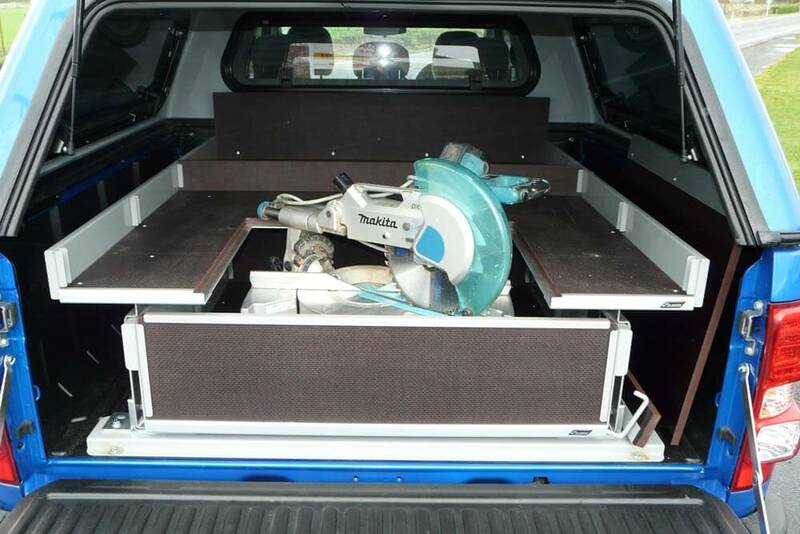 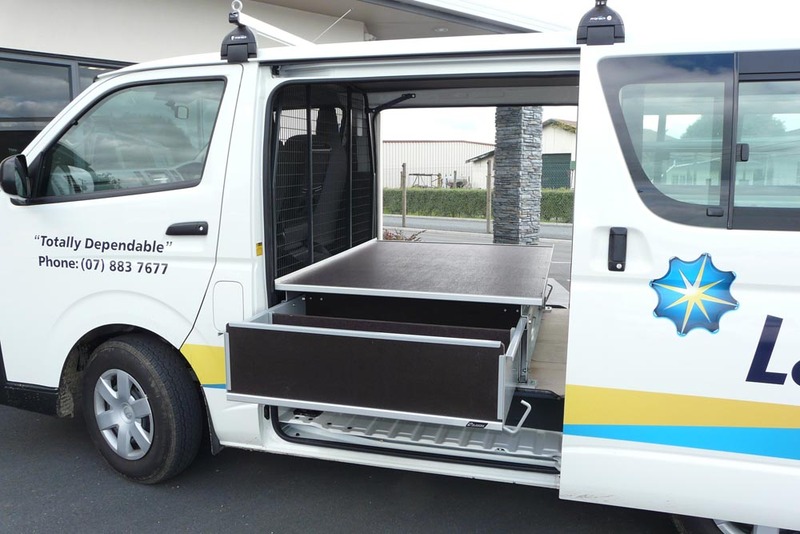 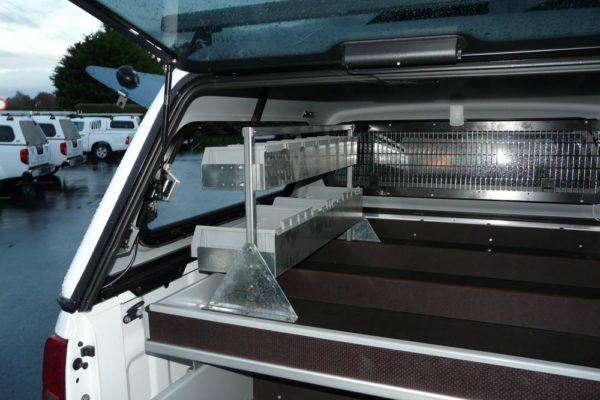 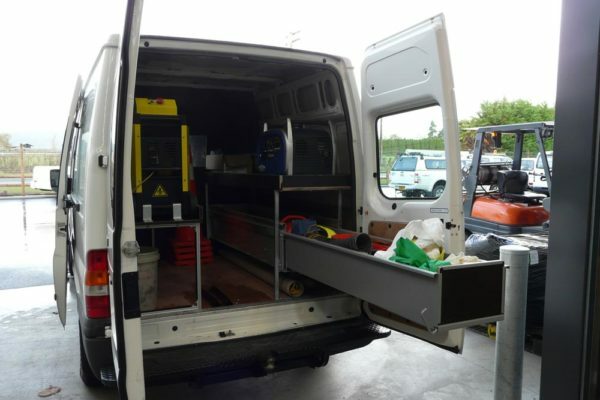 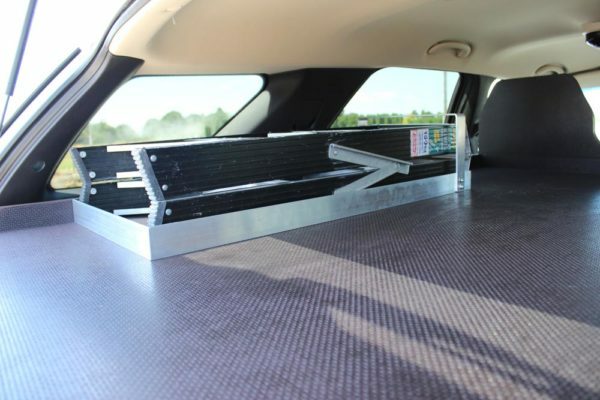 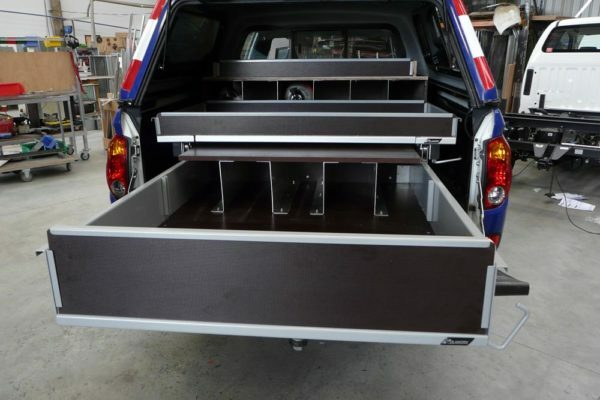 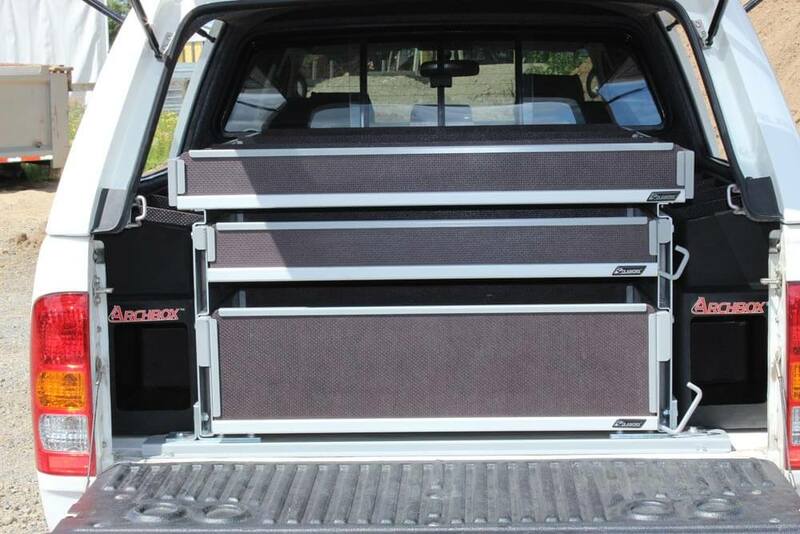 This leaves the inside of the vehicle mostly free which makes it ideal to fit a Rolaworx® drawer and cutting table combinations to give a mobile workshop for those glass replacement jobs. 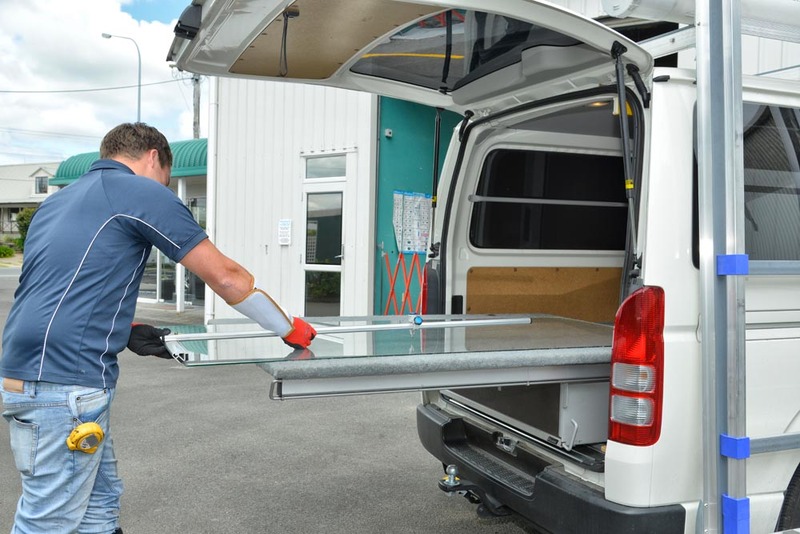 Camco also can supply glass frails both external and internal – the internal frail can slide out for ease of access. 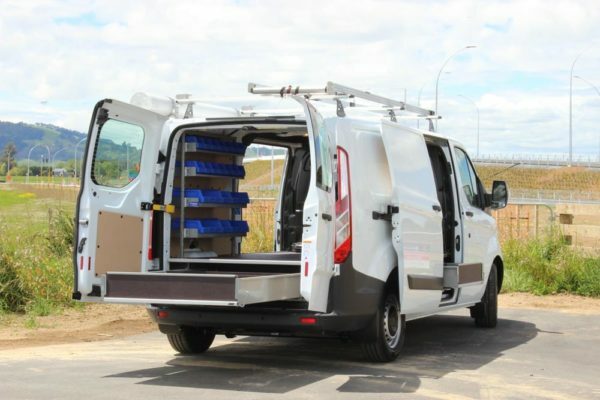 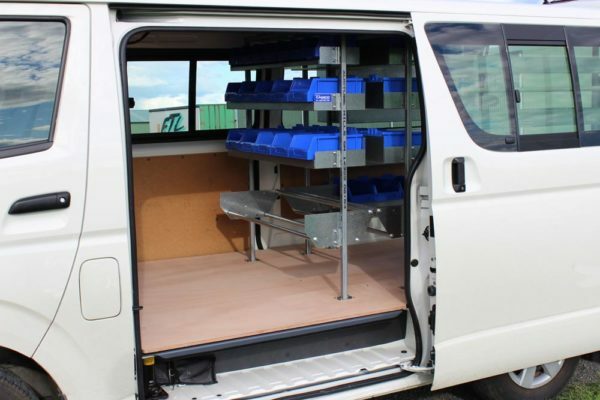 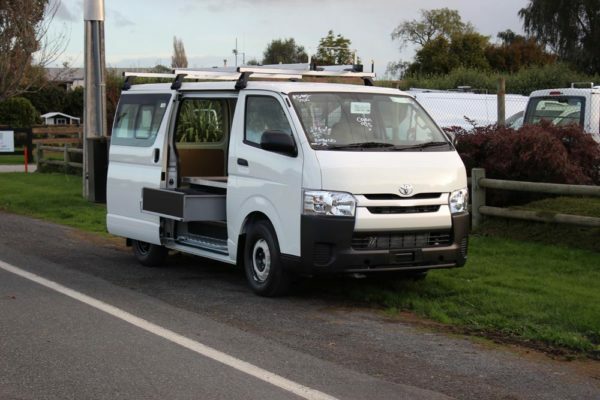 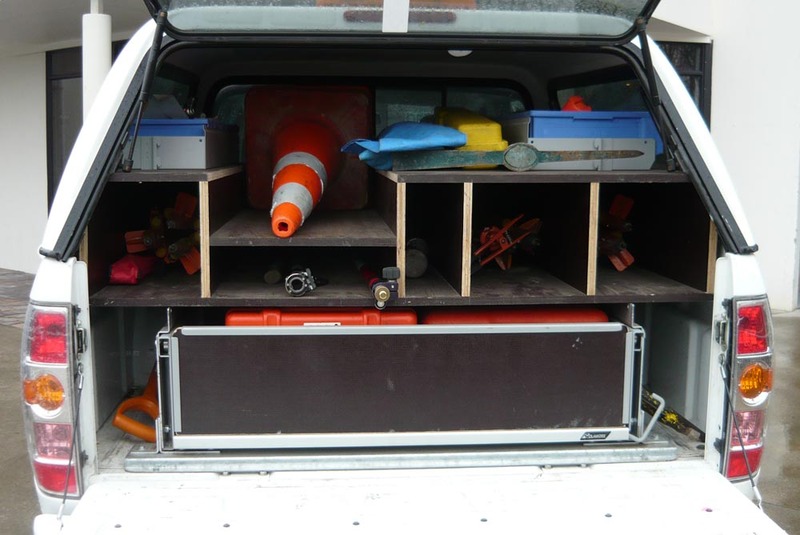 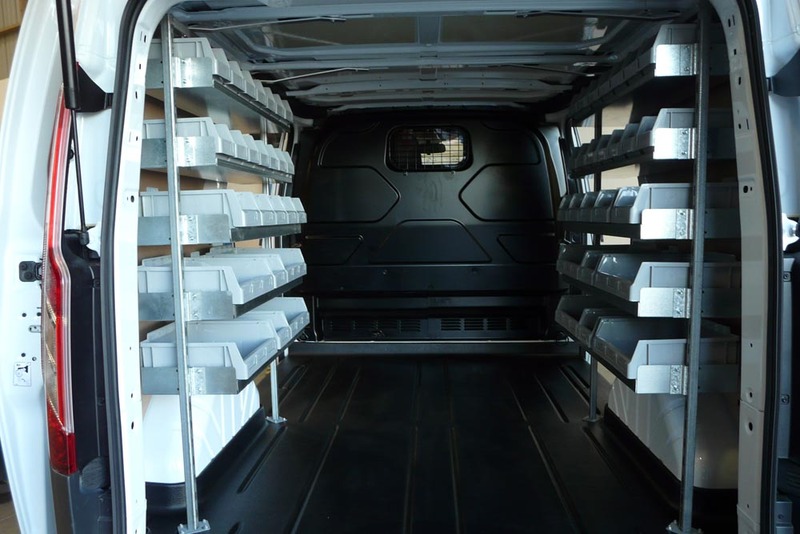 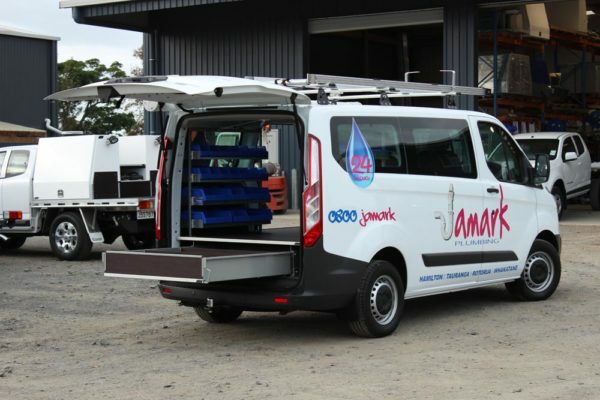 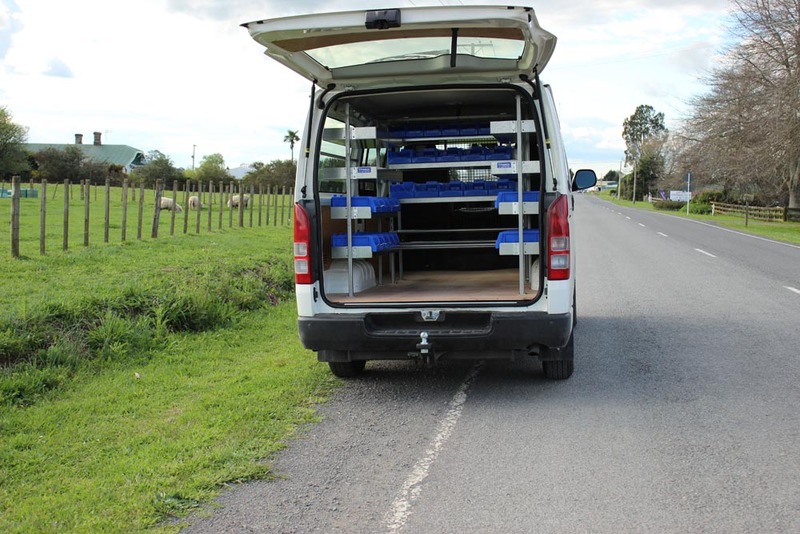 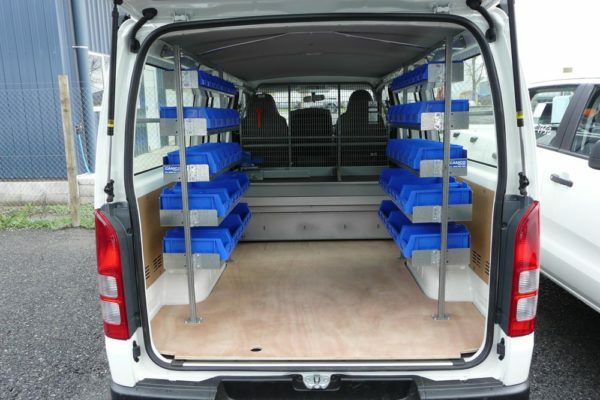 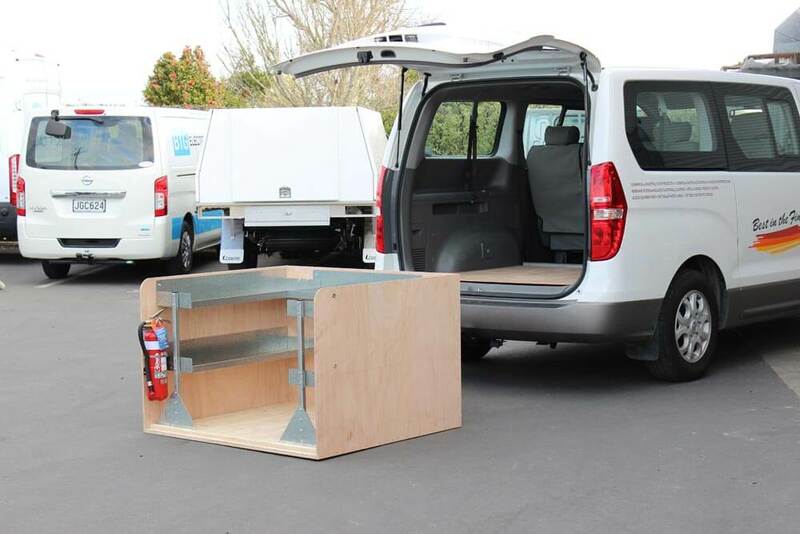 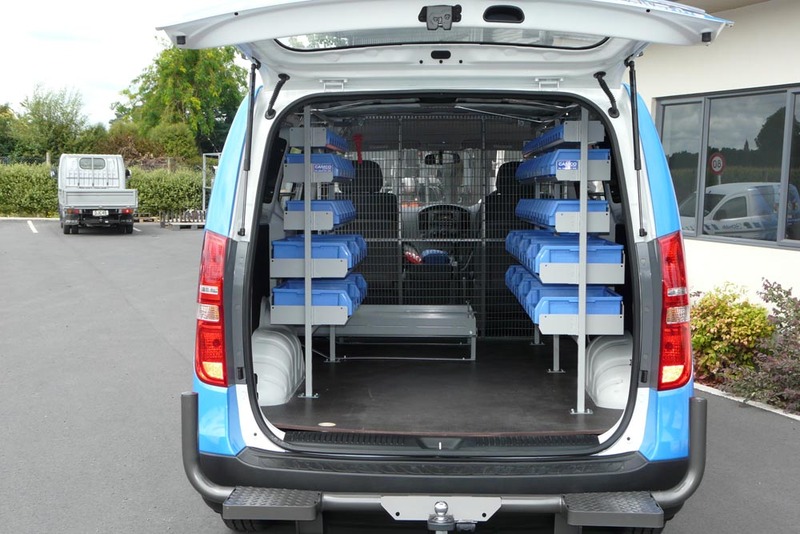 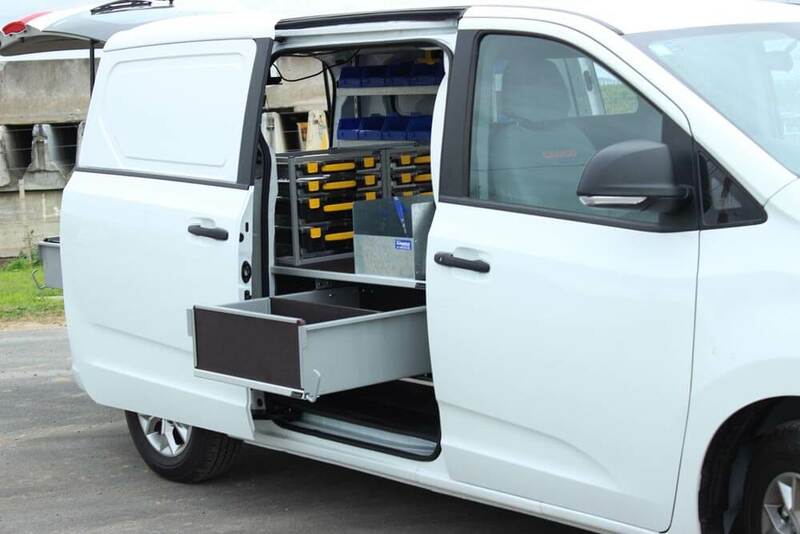 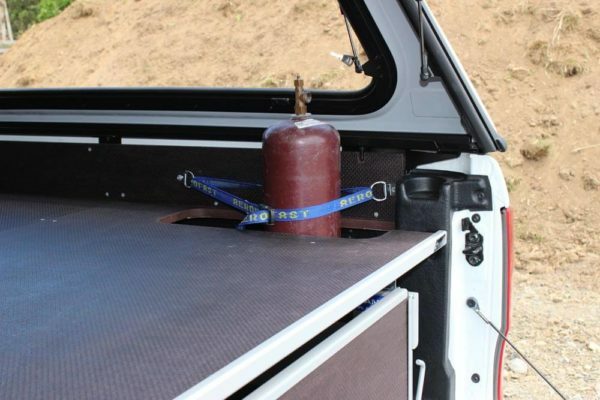 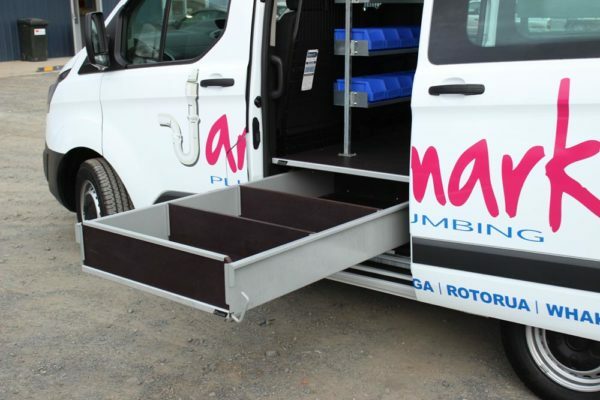 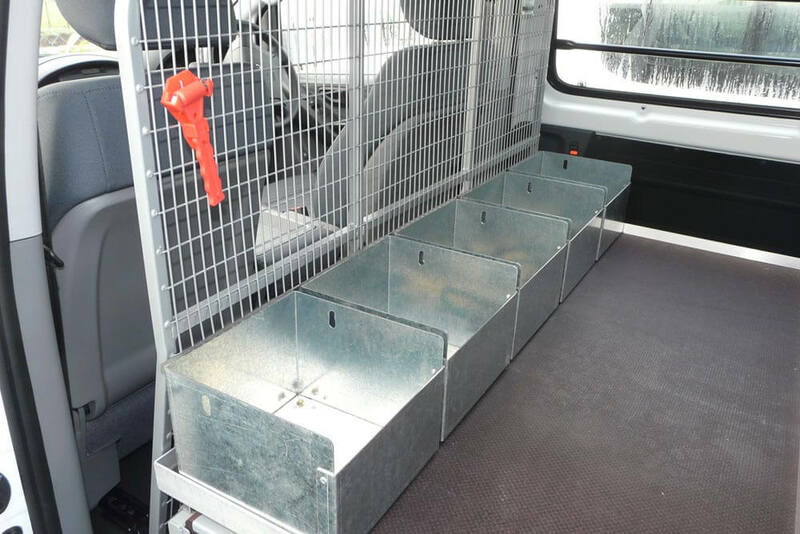 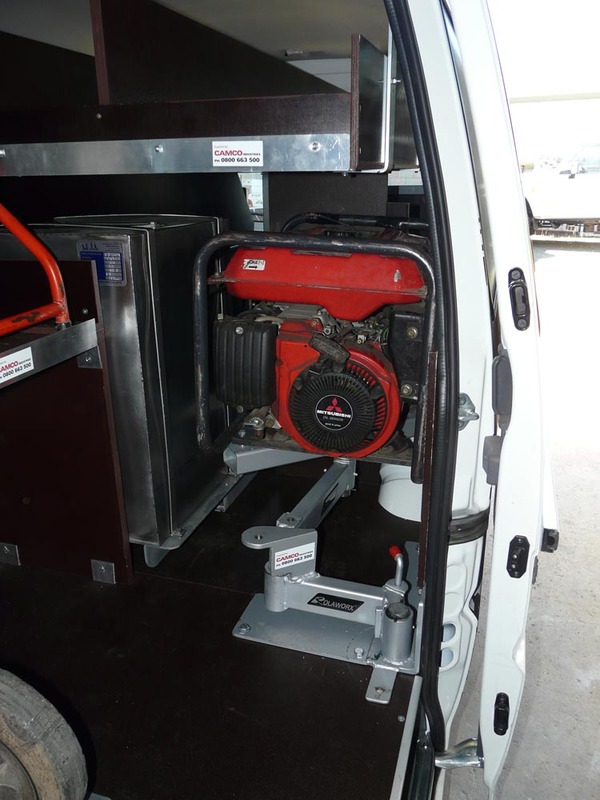 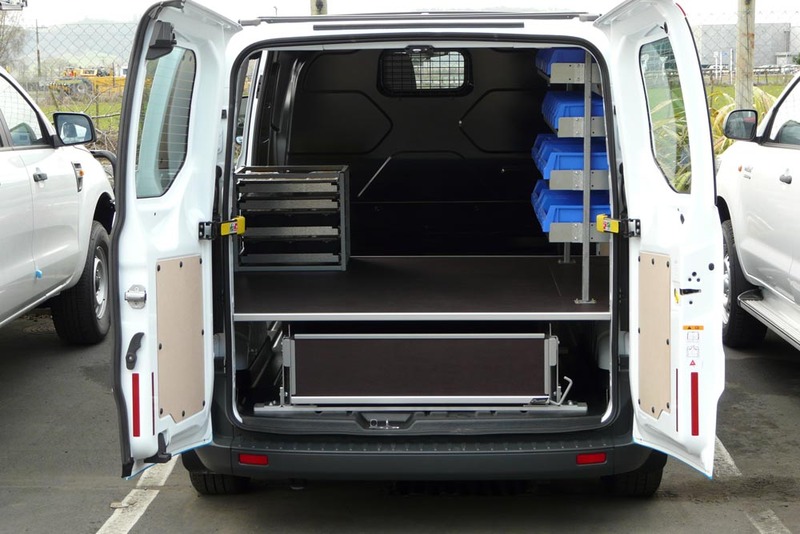 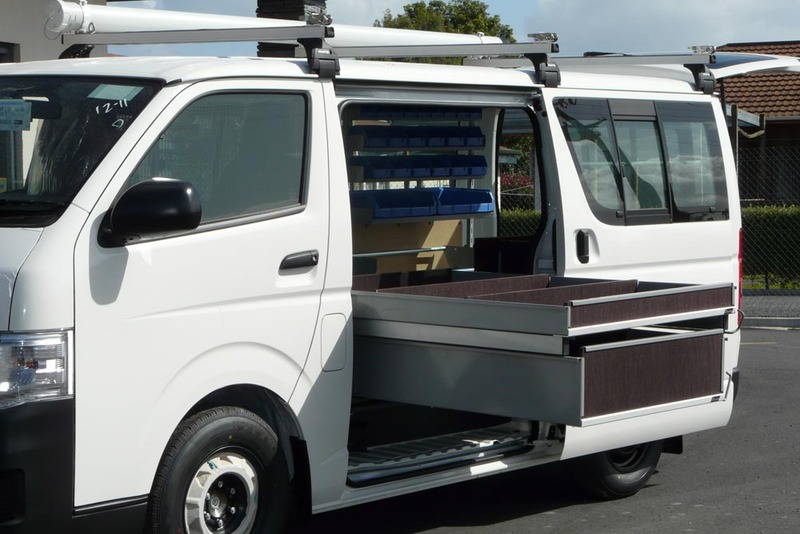 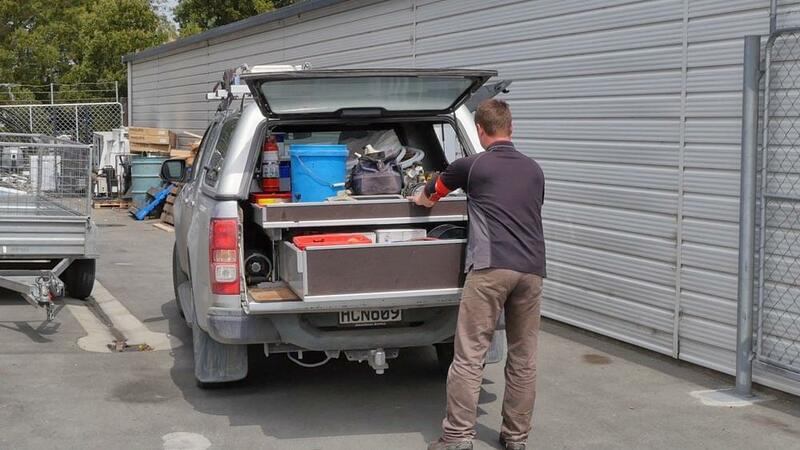 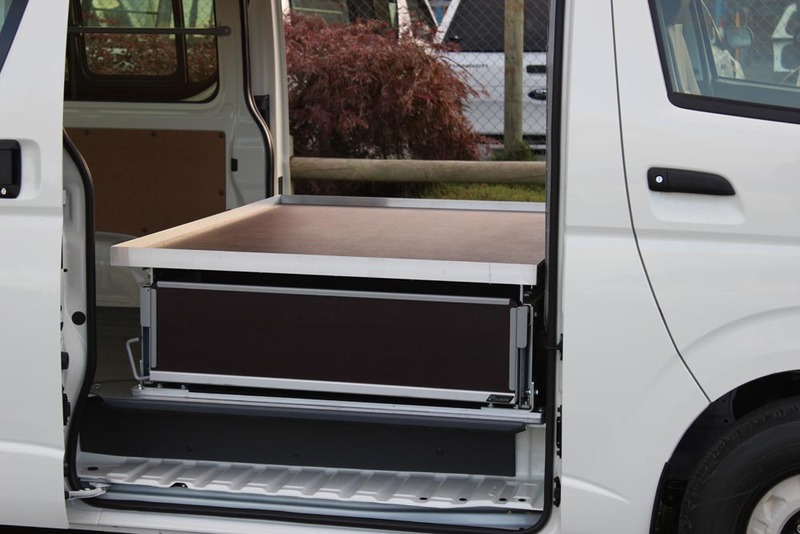 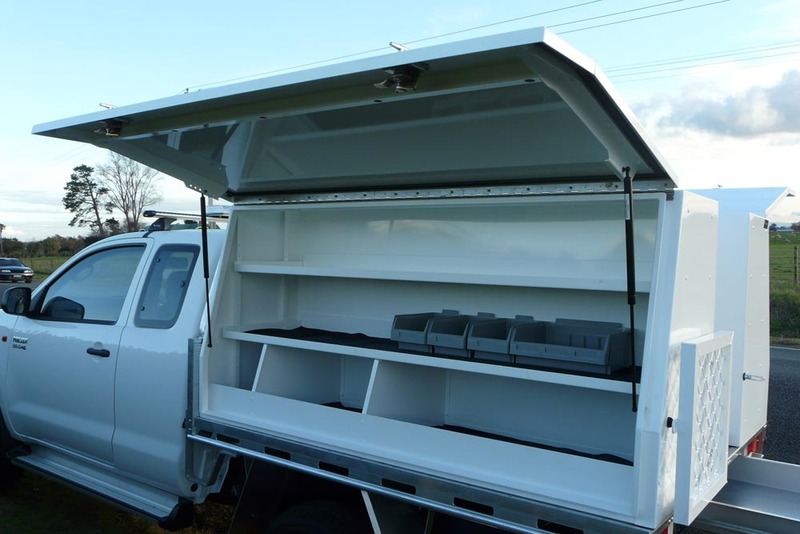 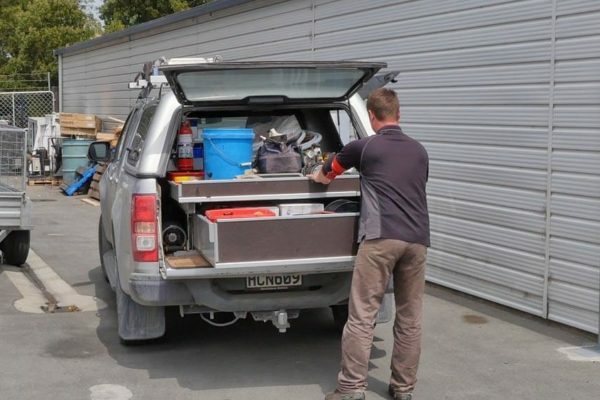 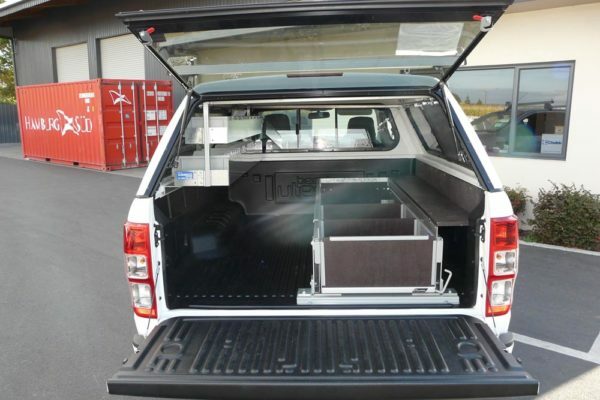 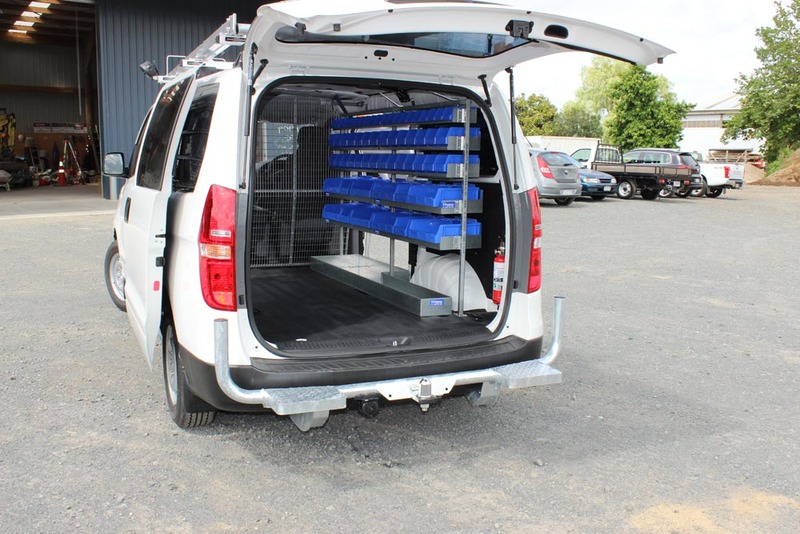 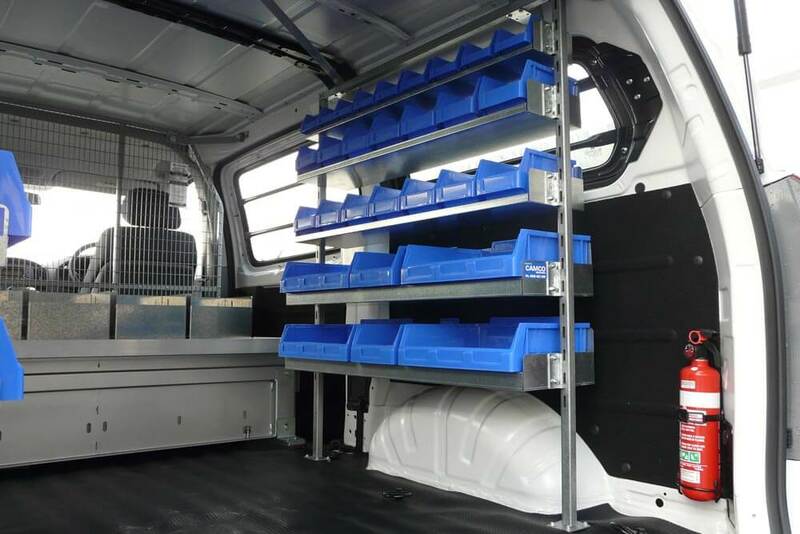 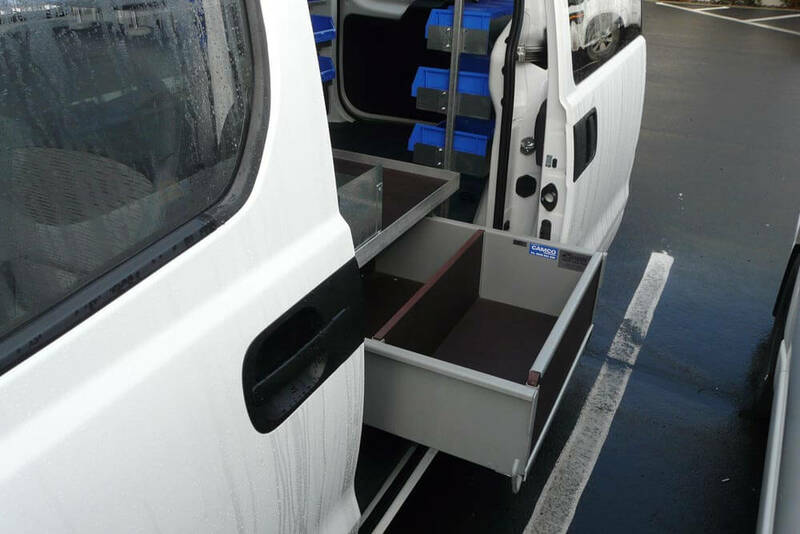 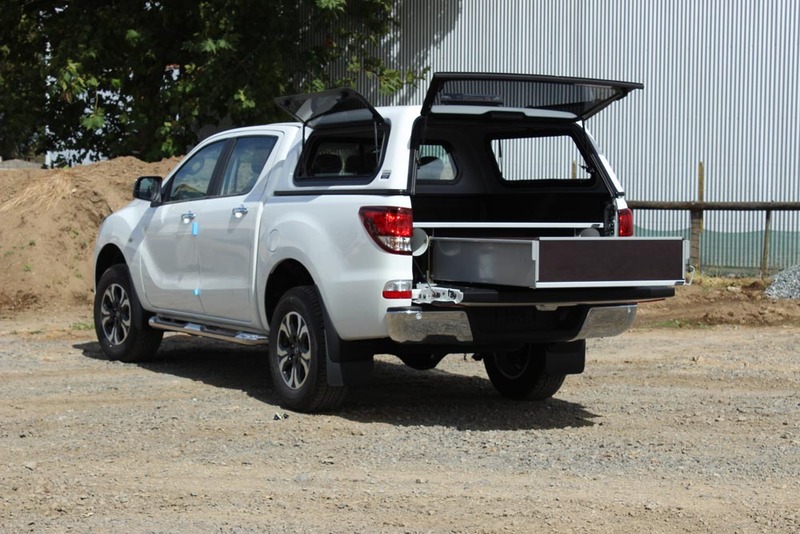 Companies providing plumbing and gas fitting services require efficient storage solutions in their vehicle to ensure their tools a fittings are well organised and easily accessible. Camco has provided many plumbers and gas fitters with their ideal of vehicle organisation which gives them the ‘edge of efficiency’ on site. 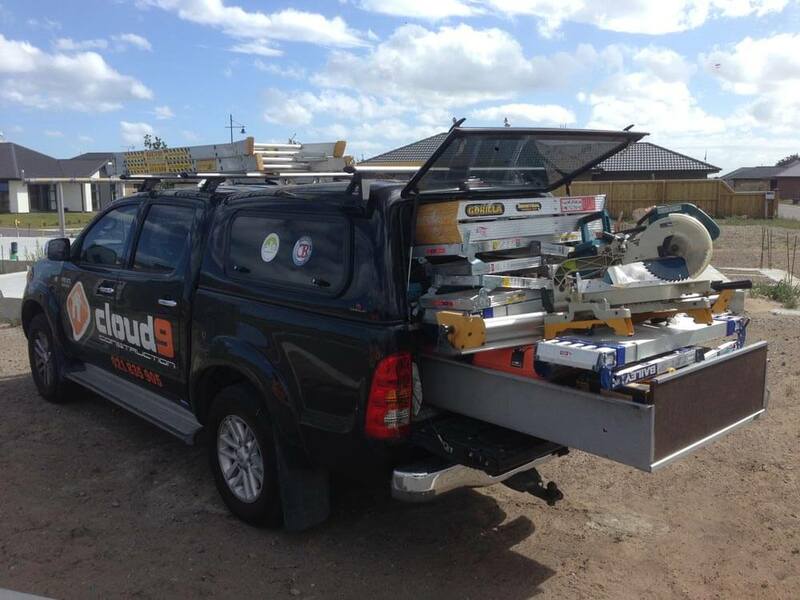 Surveyors out in the field need to be assured their precision instruments are protected when being transported. 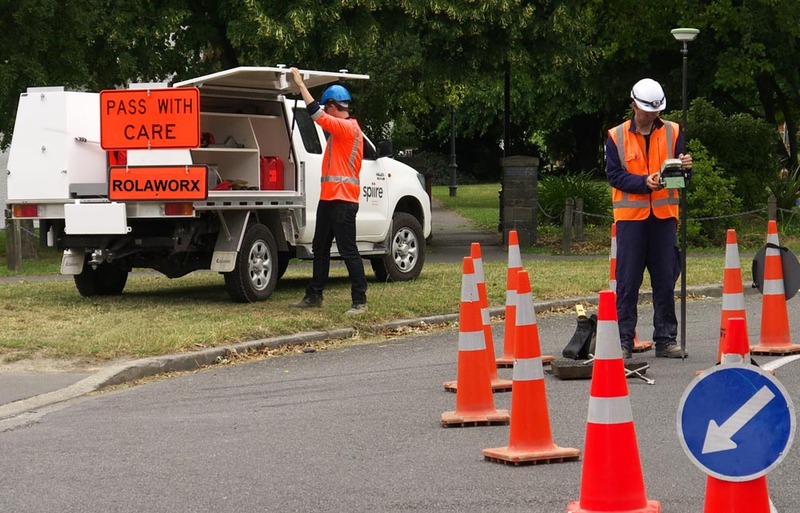 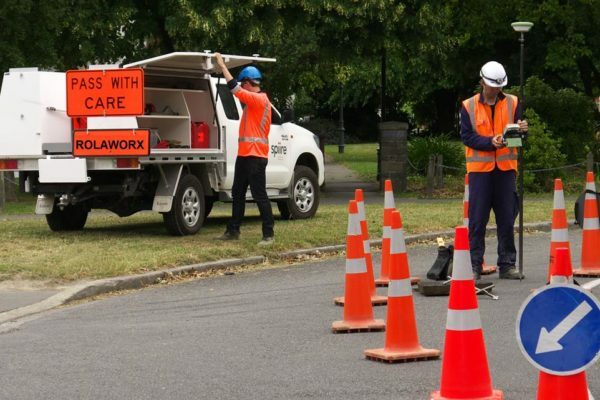 The transport and storage of road cones is another issue for these professional workers, and simple though it sounds, can be a problem. 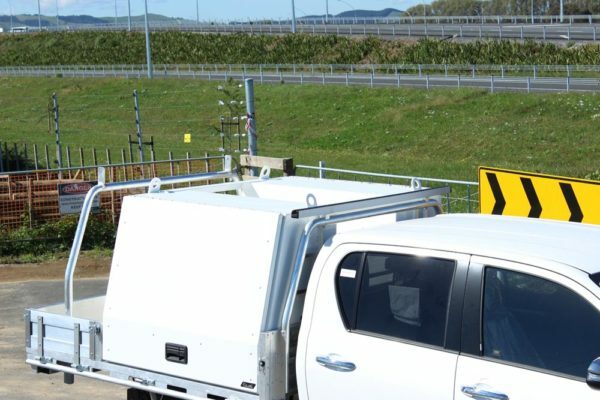 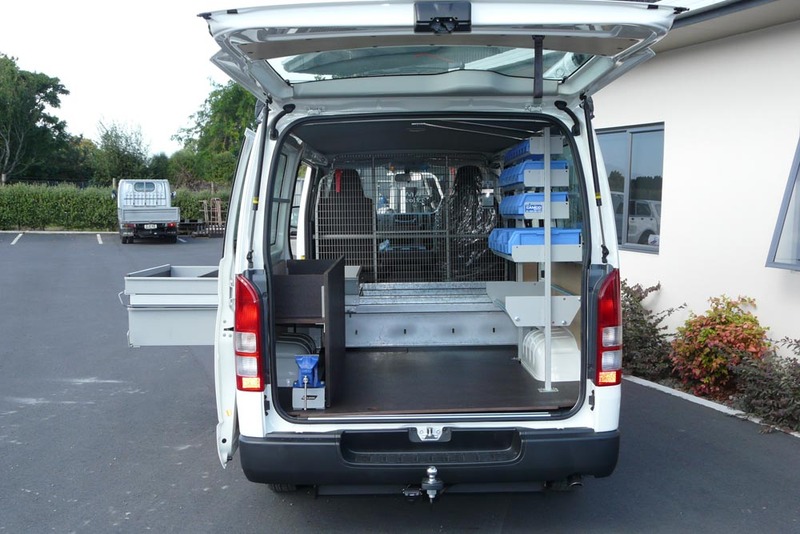 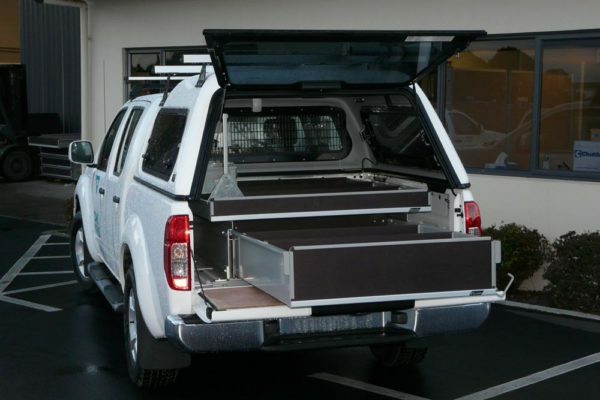 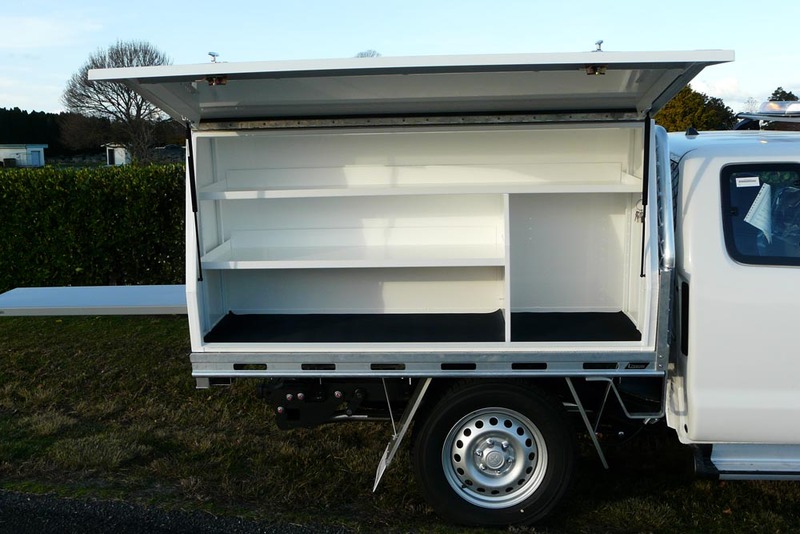 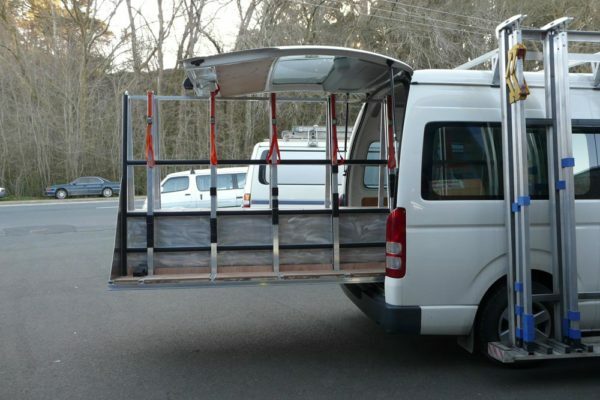 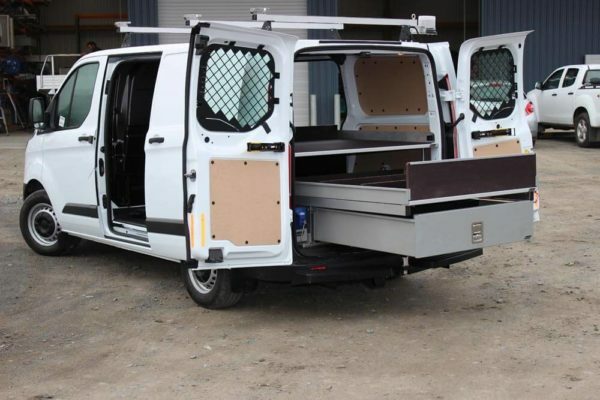 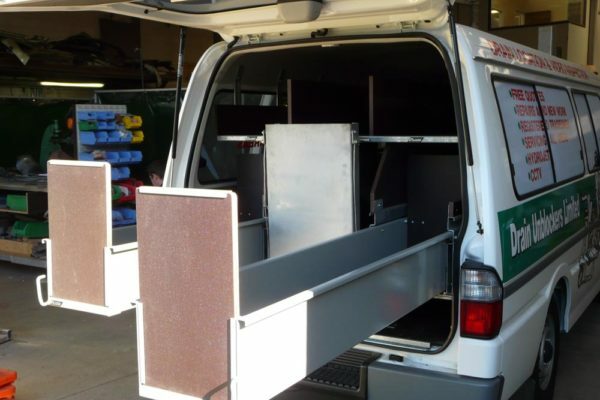 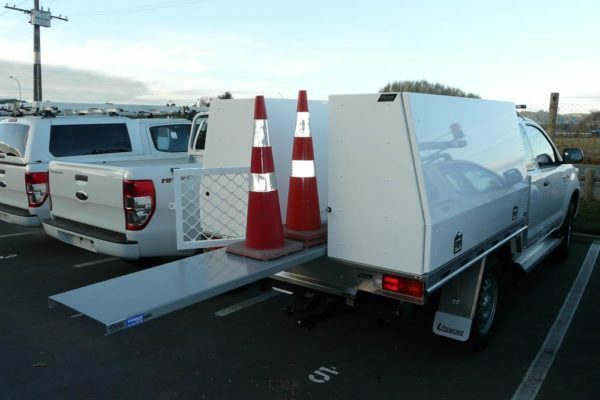 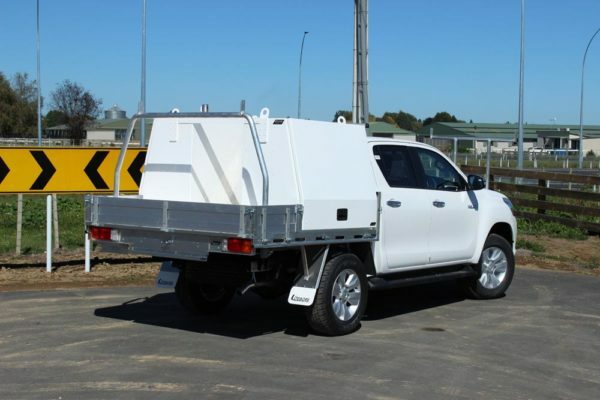 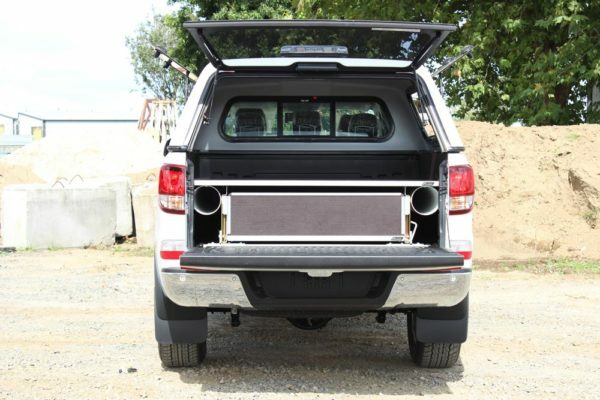 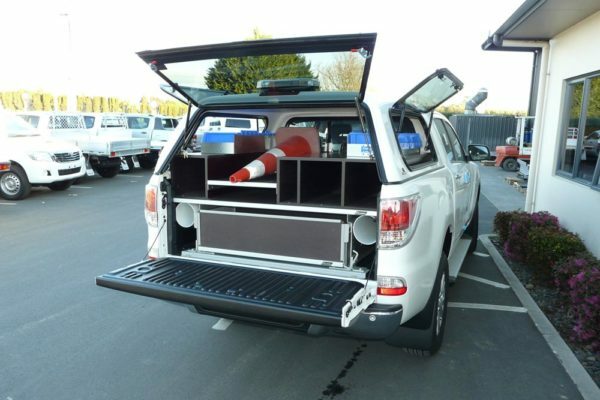 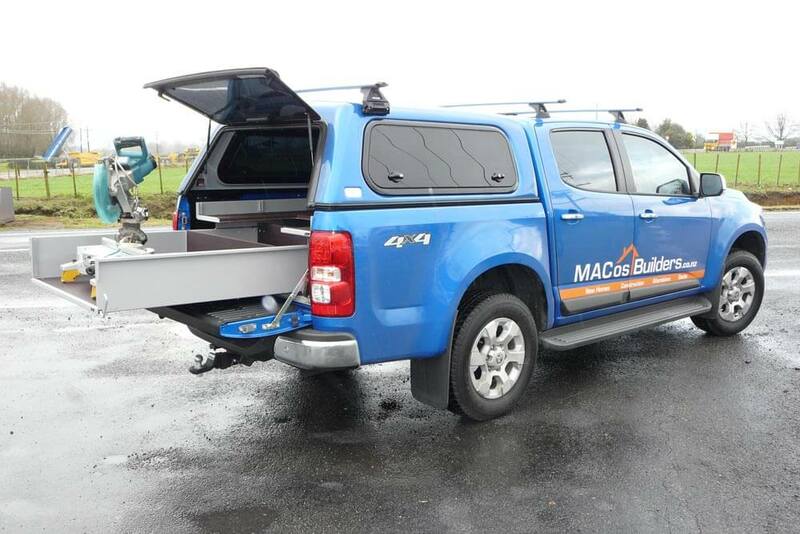 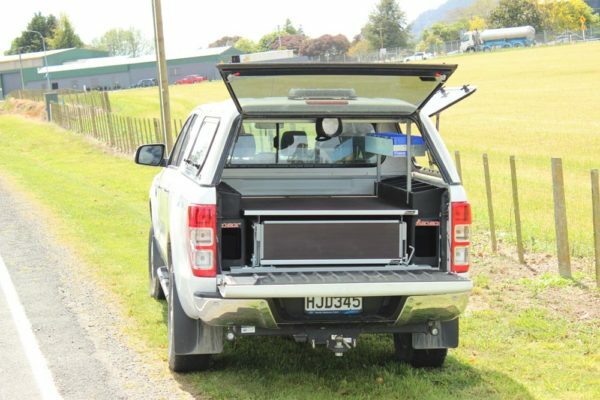 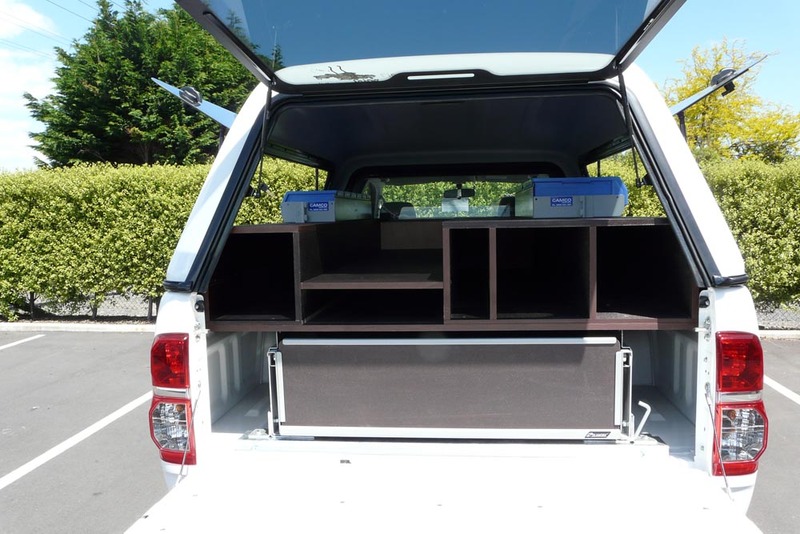 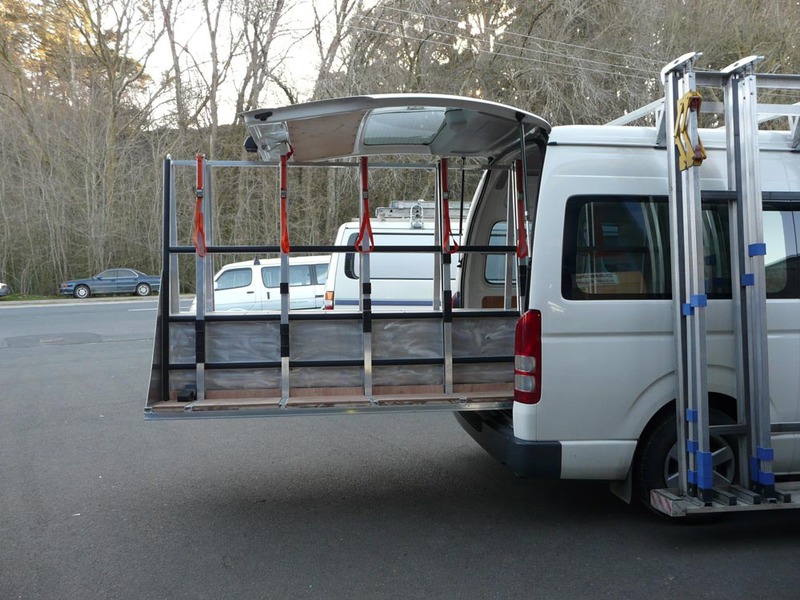 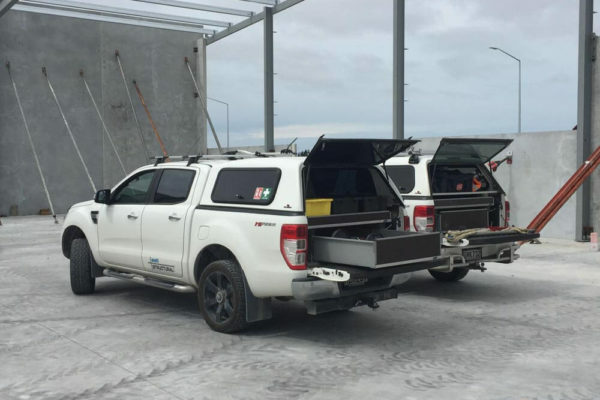 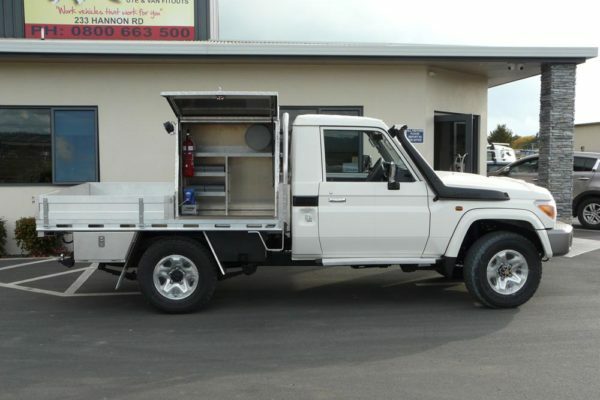 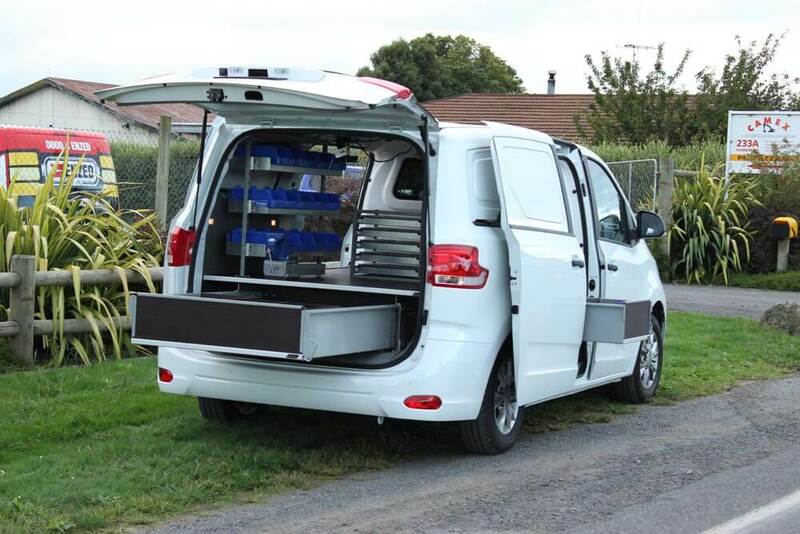 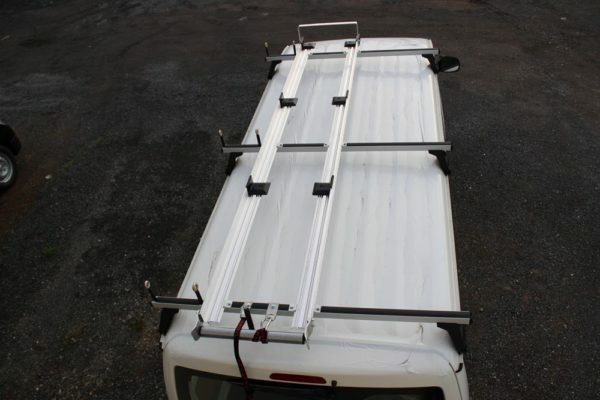 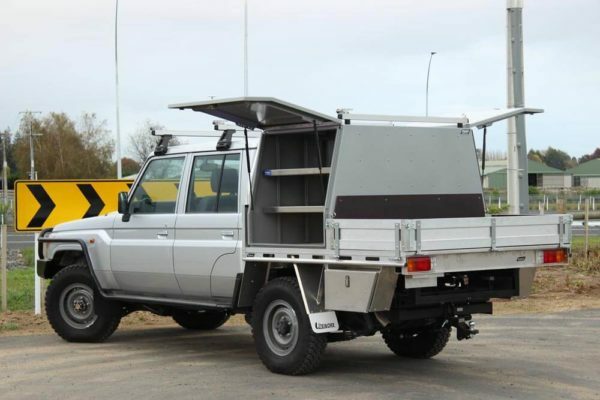 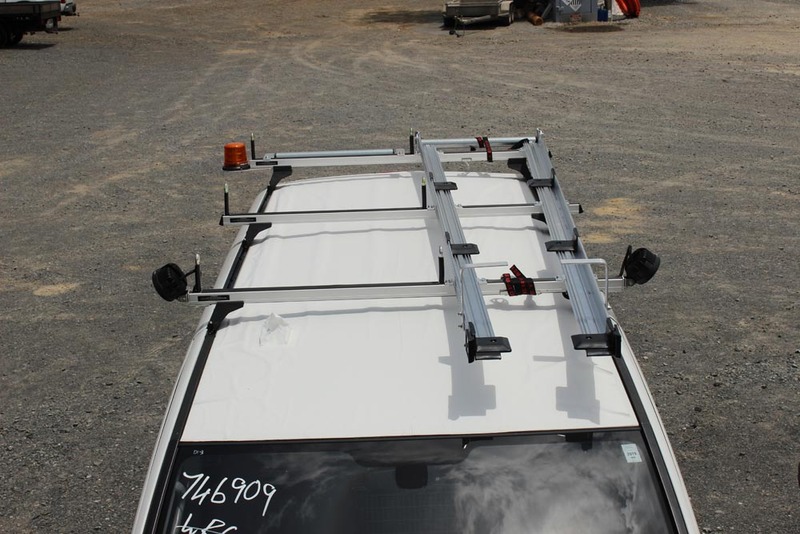 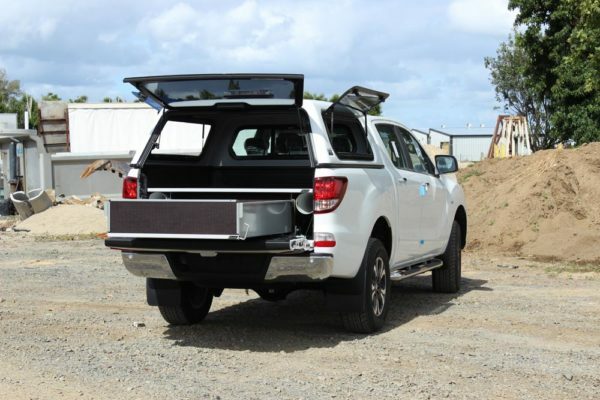 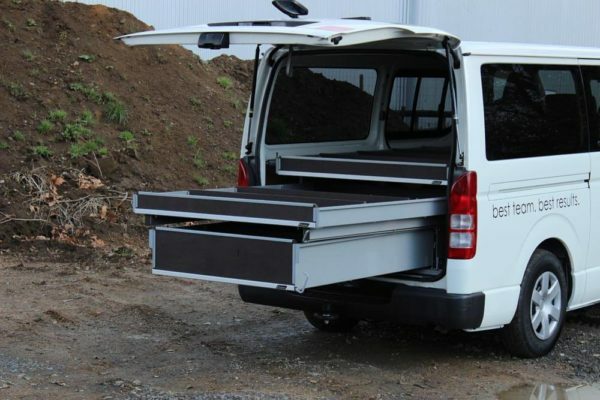 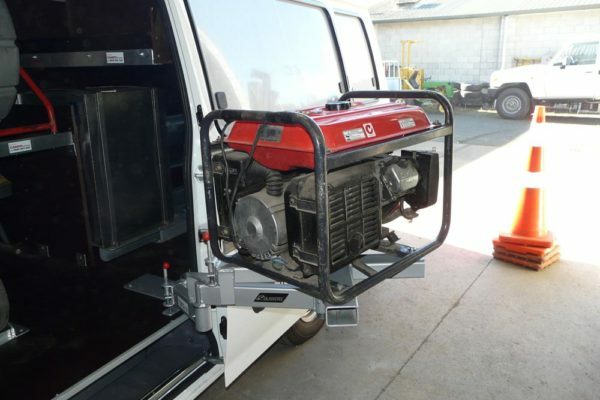 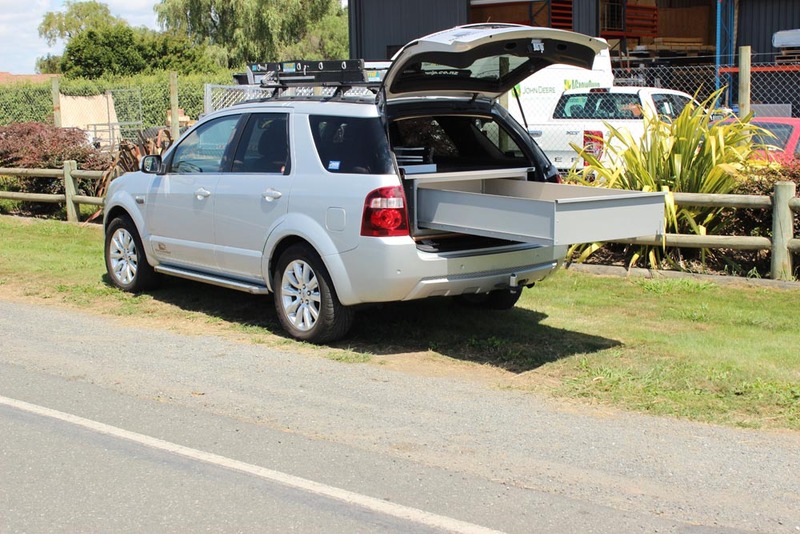 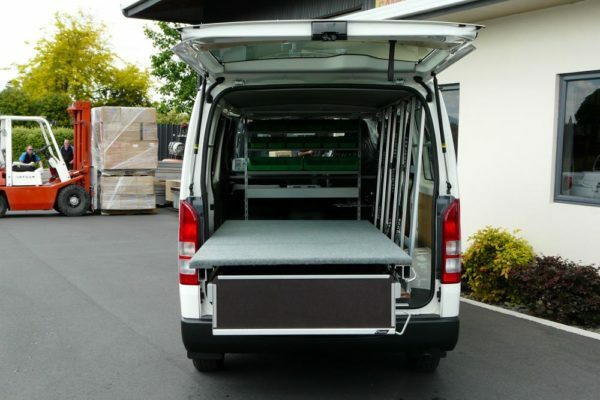 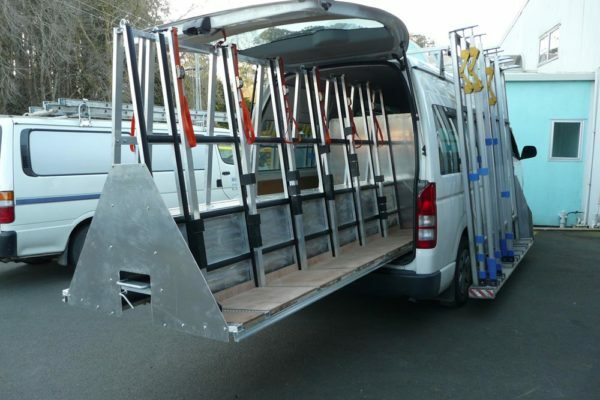 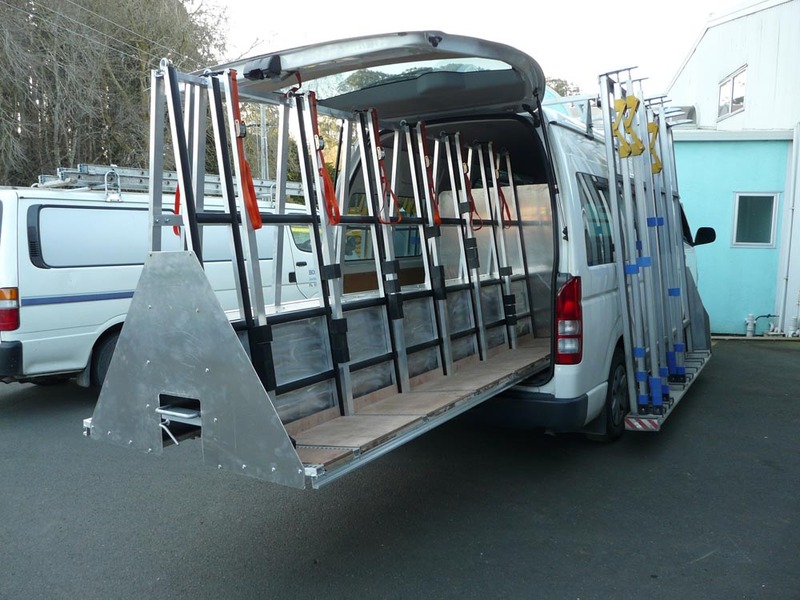 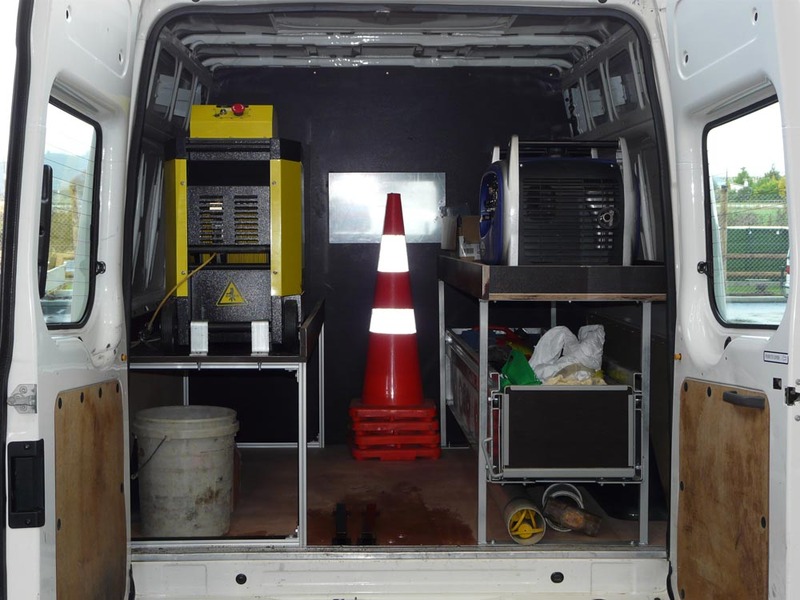 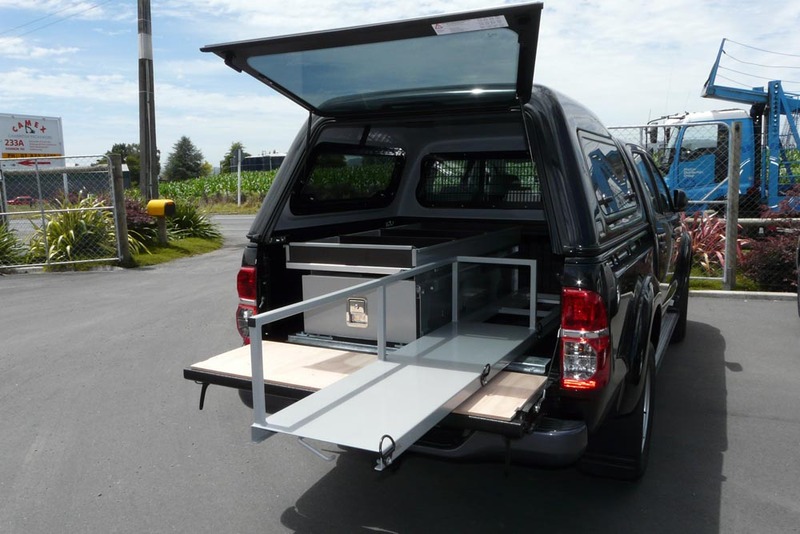 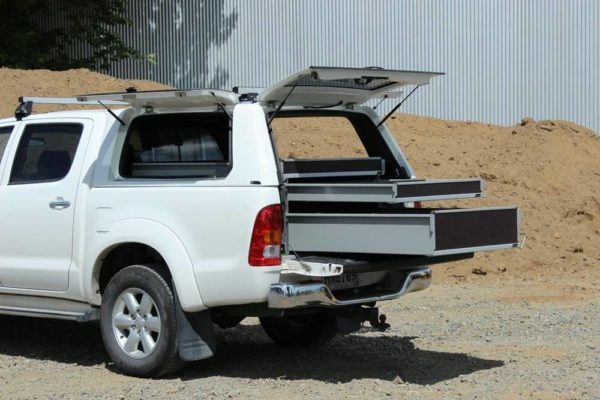 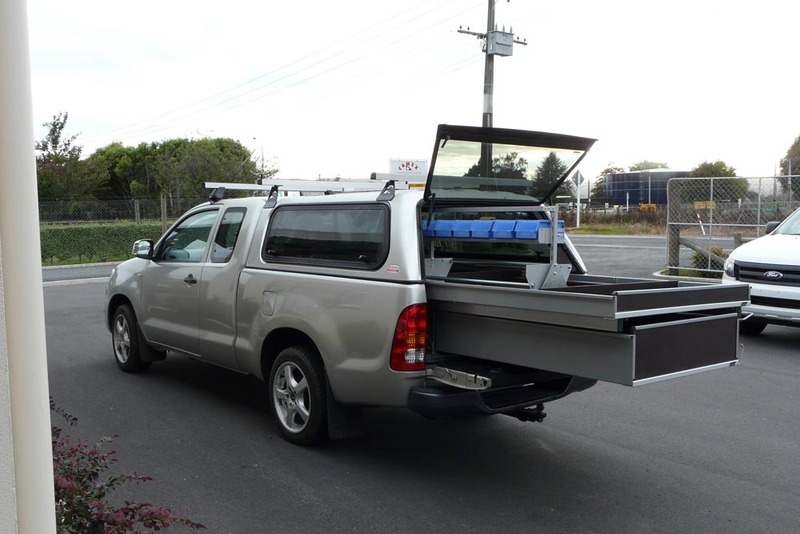 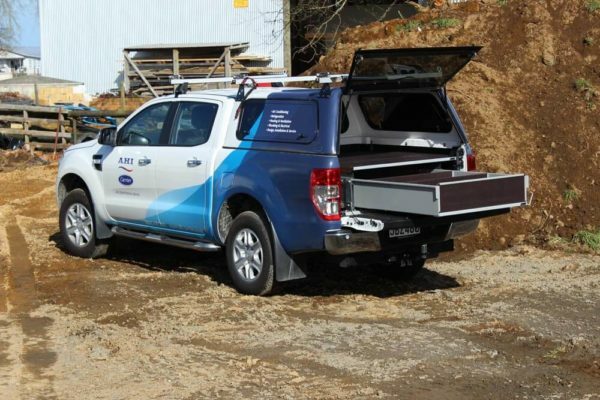 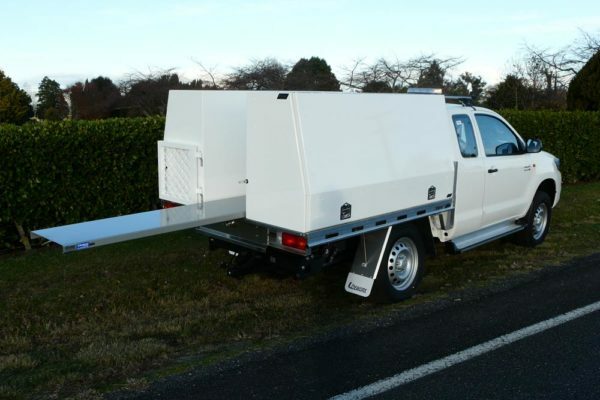 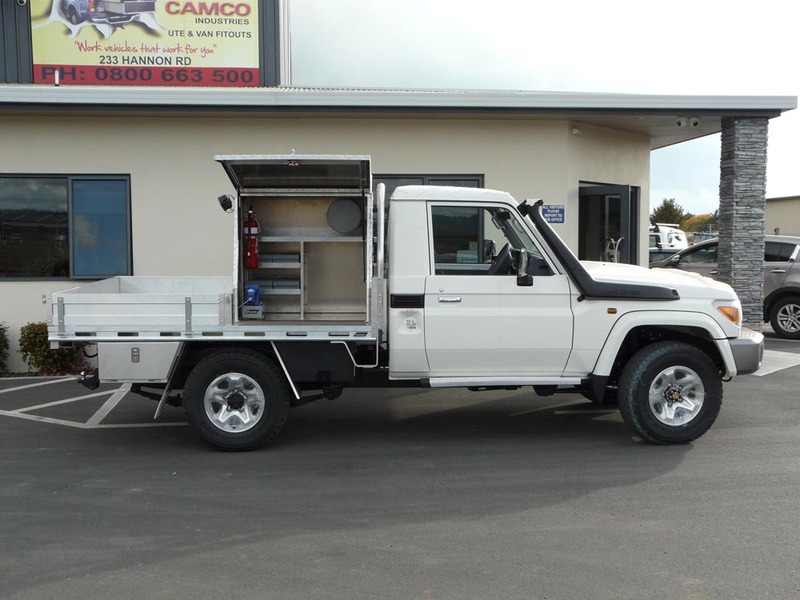 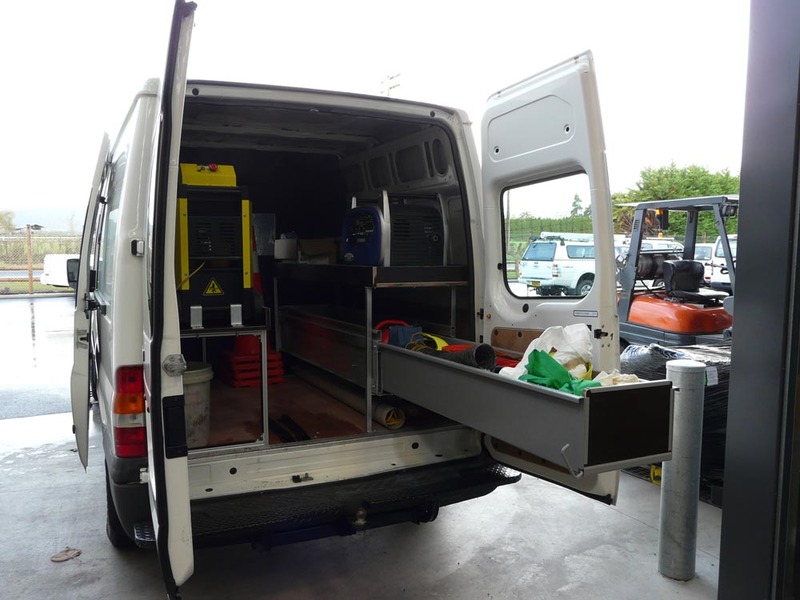 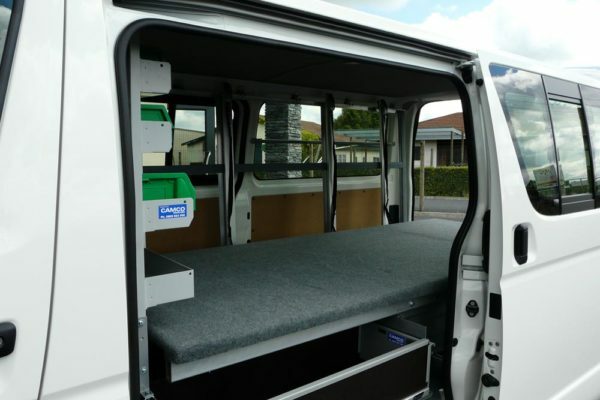 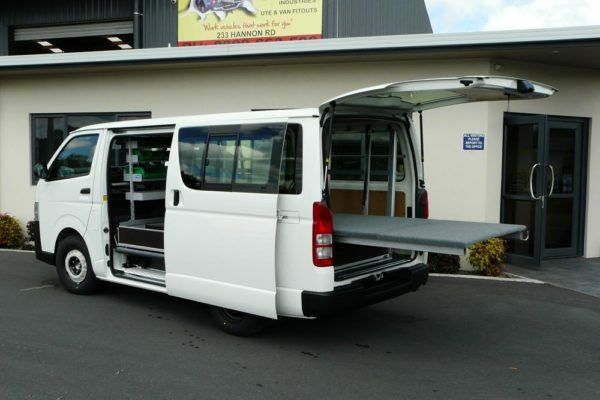 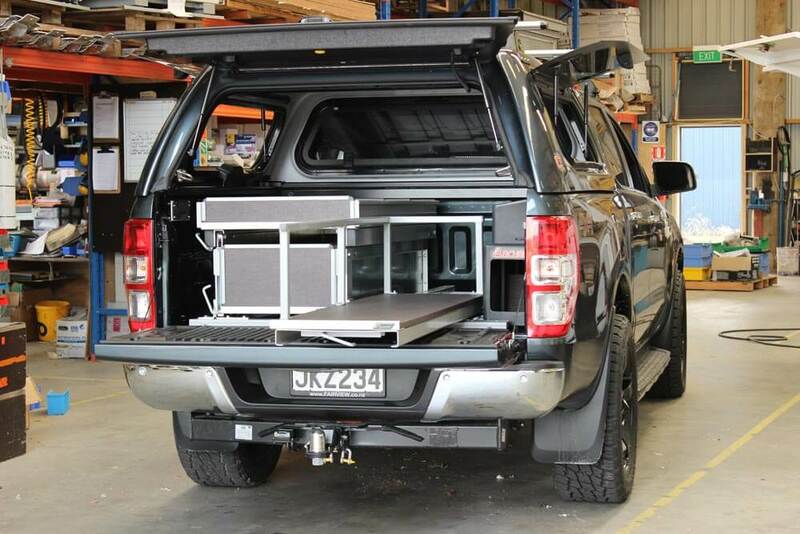 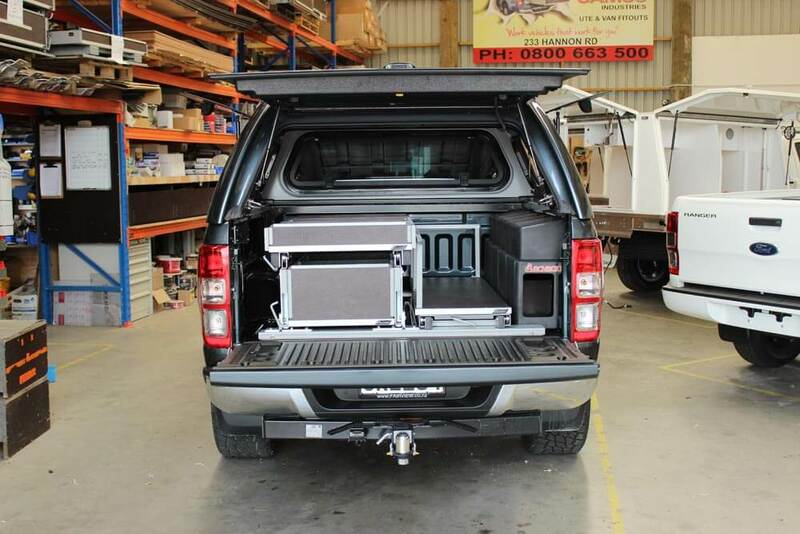 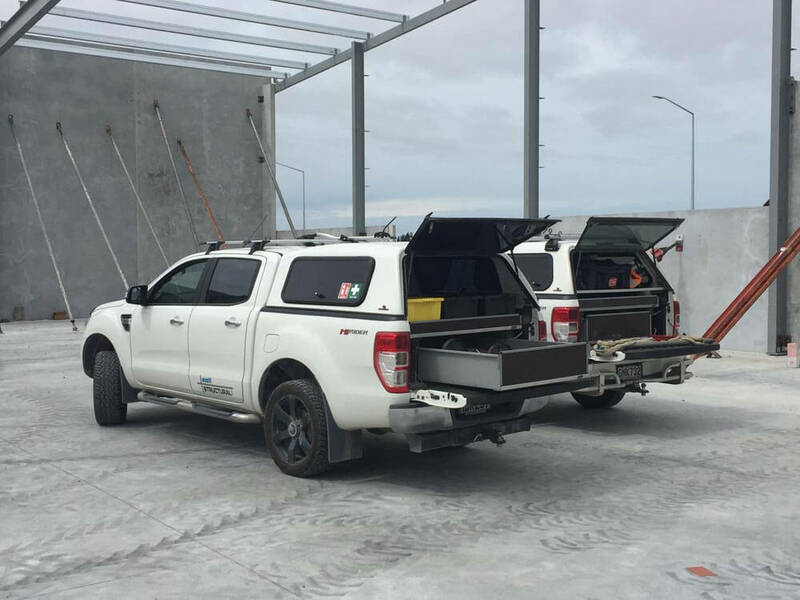 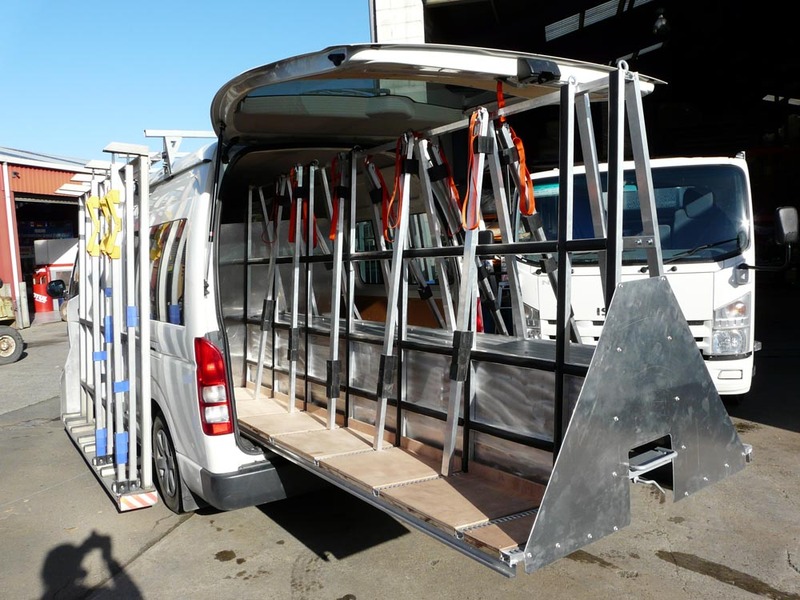 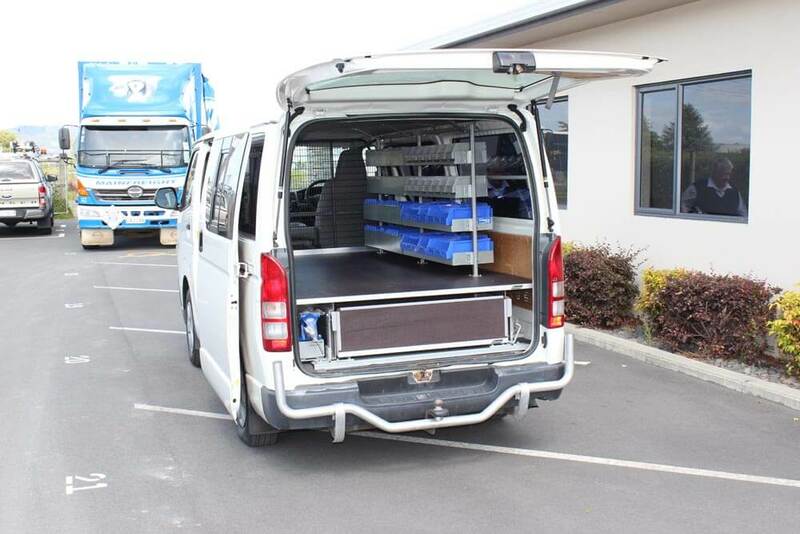 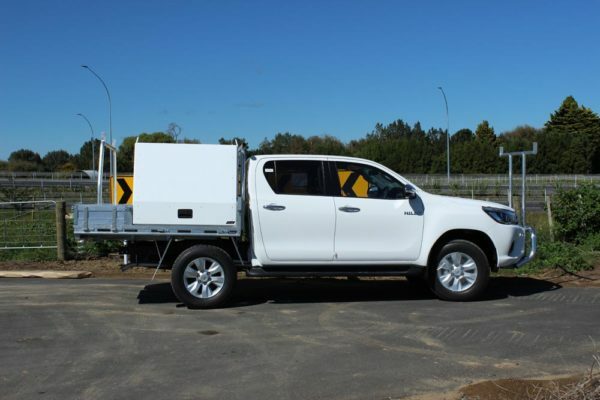 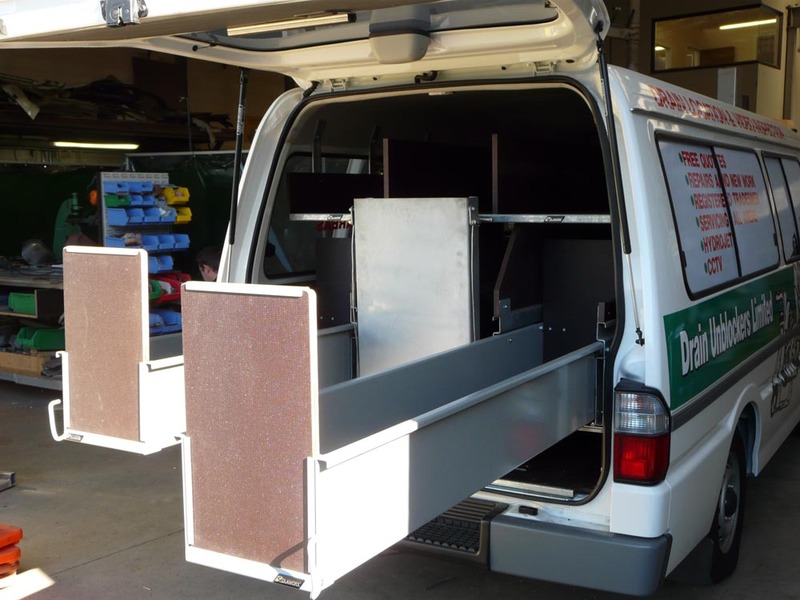 Camco has designed fitout options for many surveyors and can offer a safe and efficient setup for their vehicle.